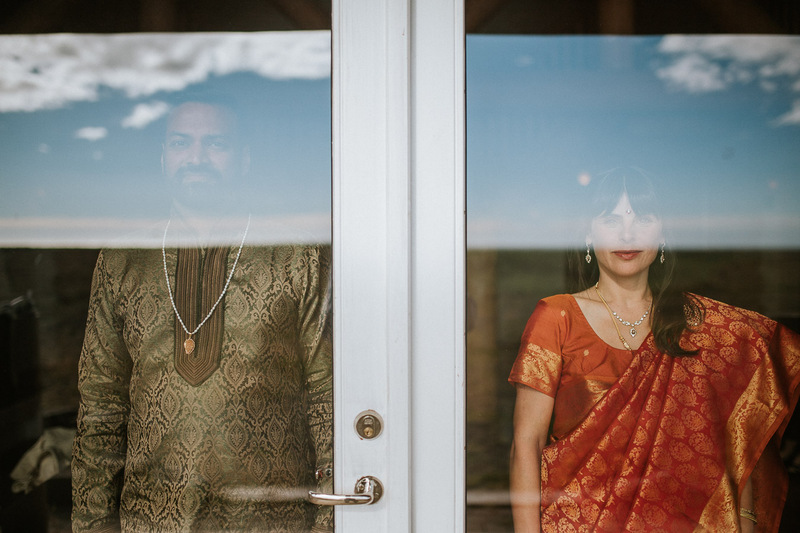 Ravi and Andi met through the increasingly standard manner of online-dating. 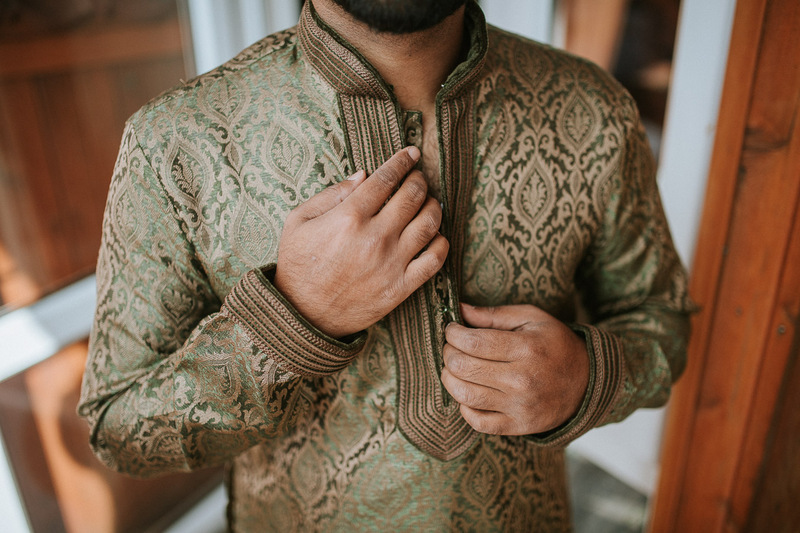 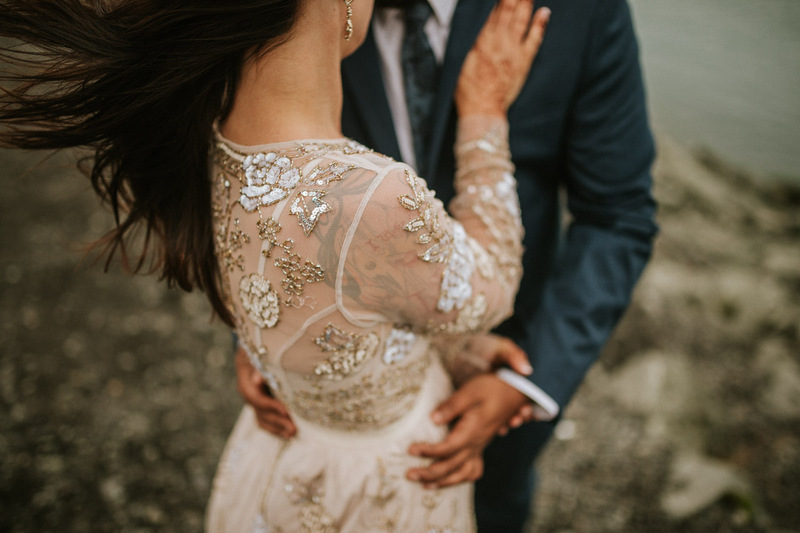 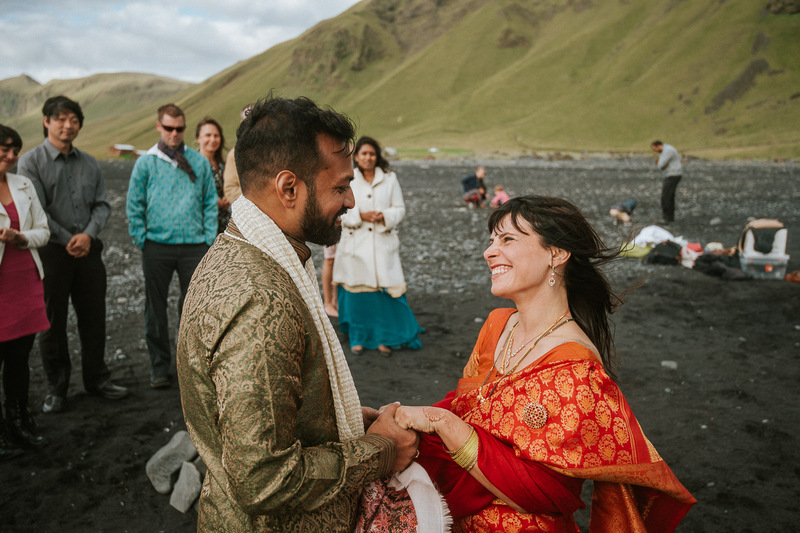 Ravi was Andi’s very first match on e-harmony.com and while they dated for a brief while, they reconnected years later via another internet dating site making them both certain that the universe wanted them to be together. 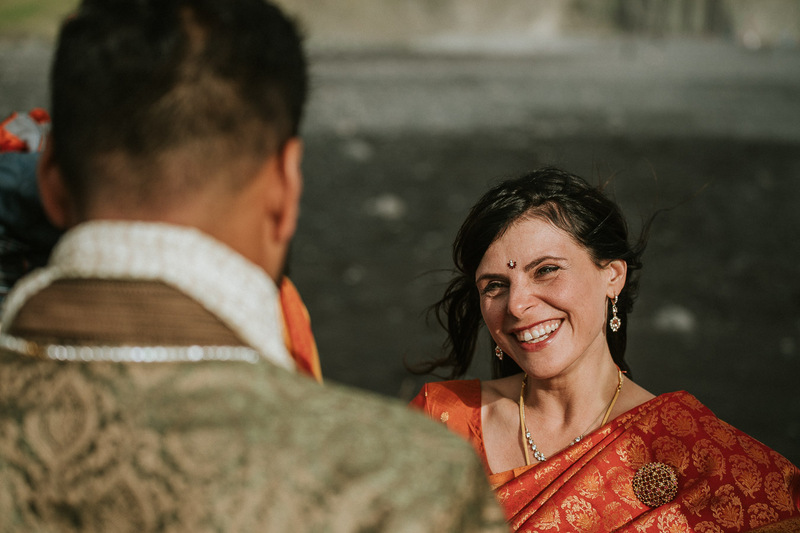 Ravi always believed Andi was the one-who-got-away and quickly fell for Andi again and this time, also with her one-year old son. 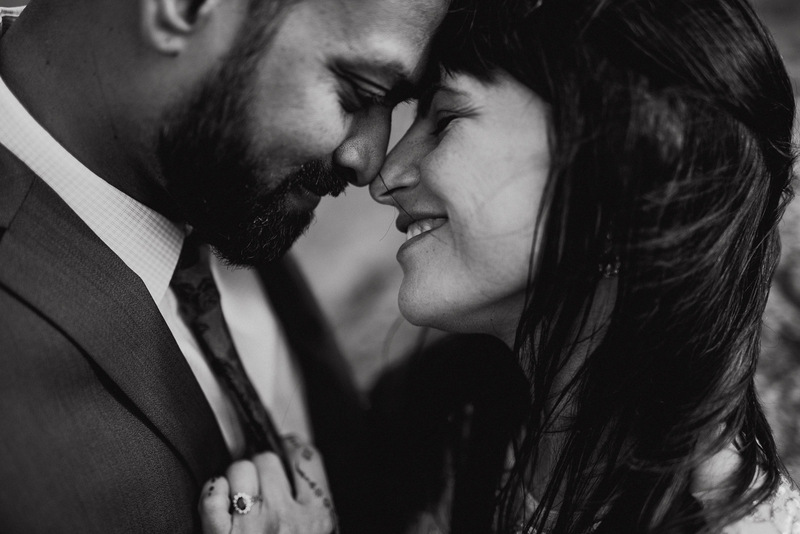 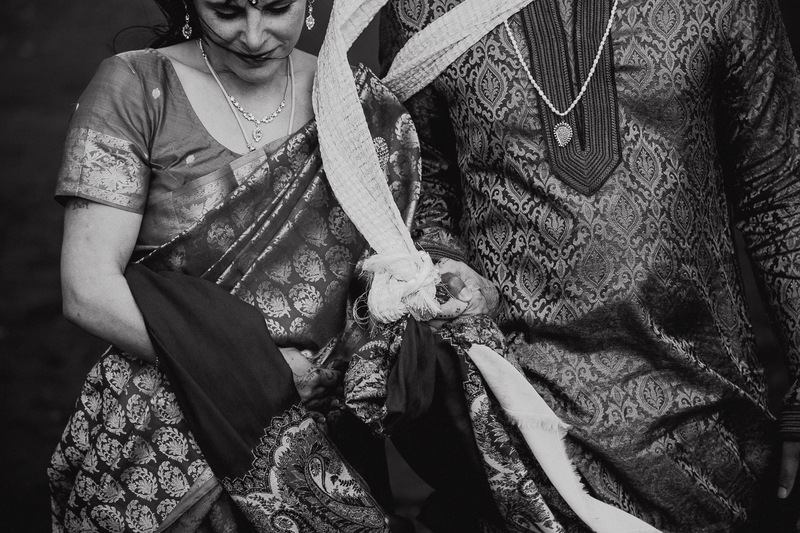 Ravi and Andi made a home together in San Diego and soon expanded their family. 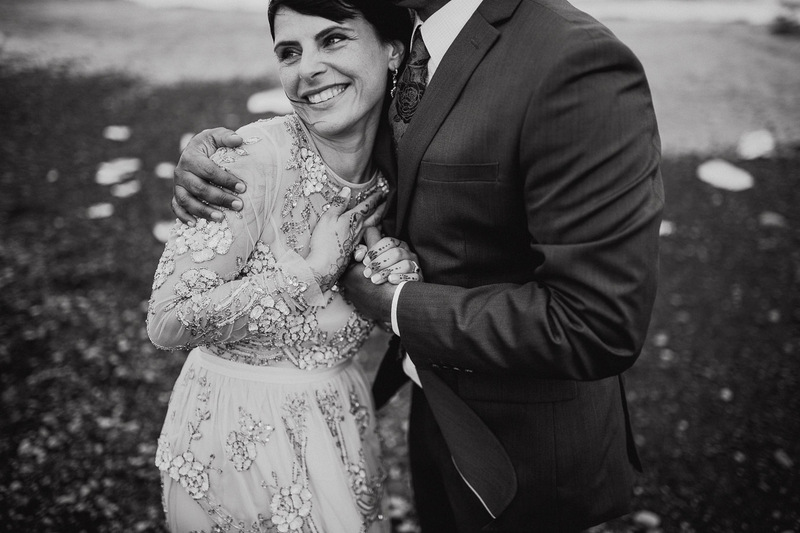 Their two boys represent the laughter, joy, music, and love that they feel for each other. 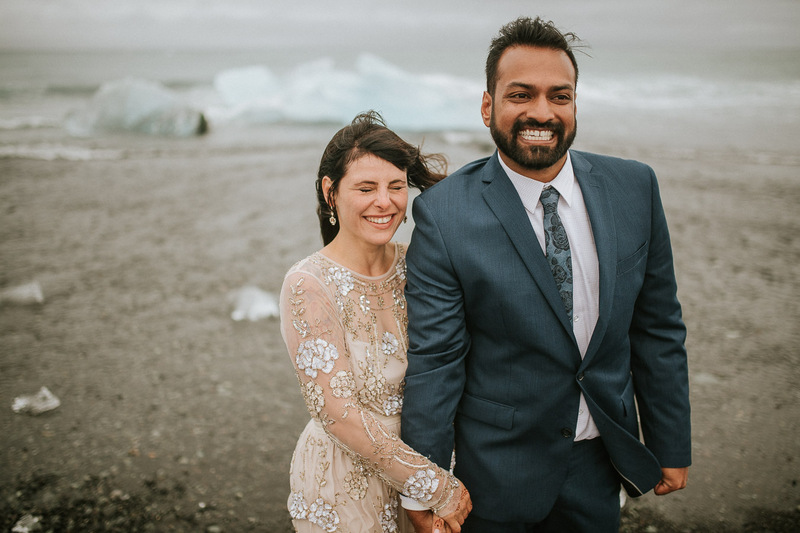 Andi often tells that she fell in love with Ravi the moment she saw his extensive Lonely Planet collection accrued from years of adventurous travel. 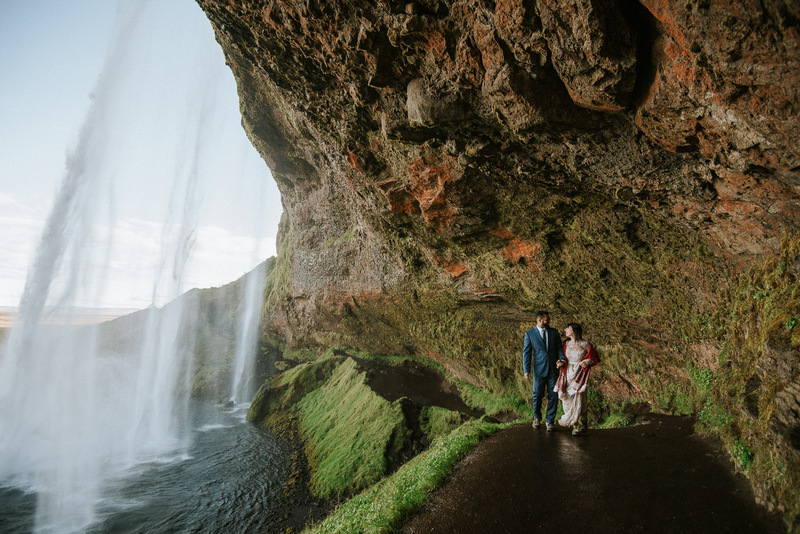 They had journeyed to many of the same places throughout the world however despite the number of overlapping itineraries, Iceland was the first stamp they shared in their passports. 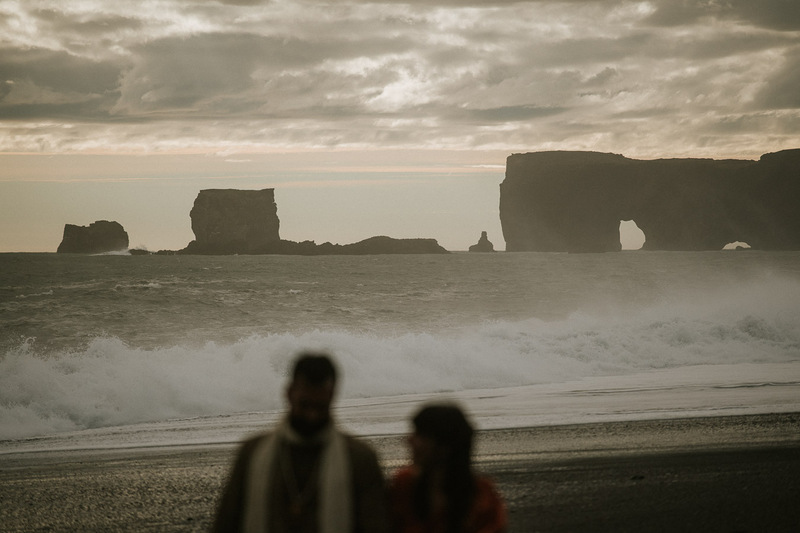 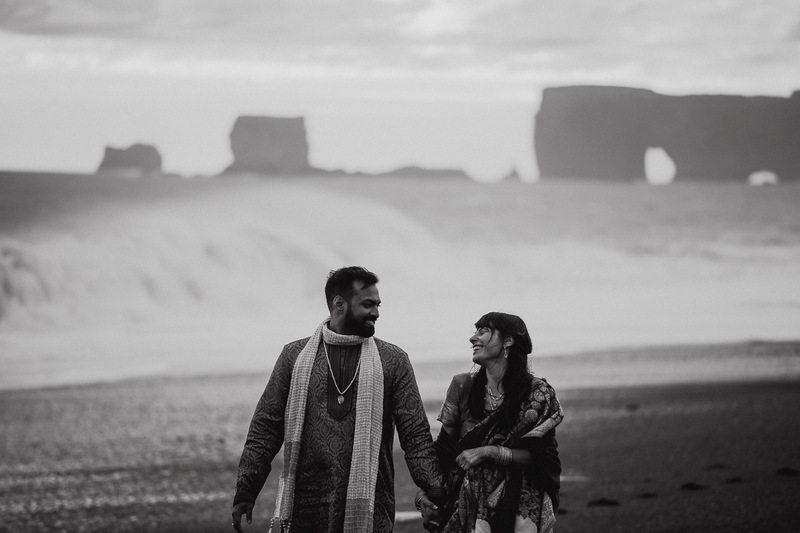 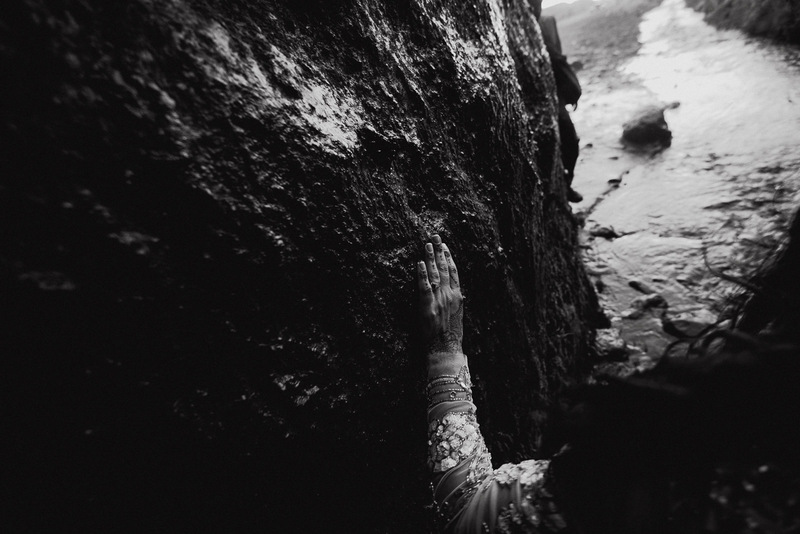 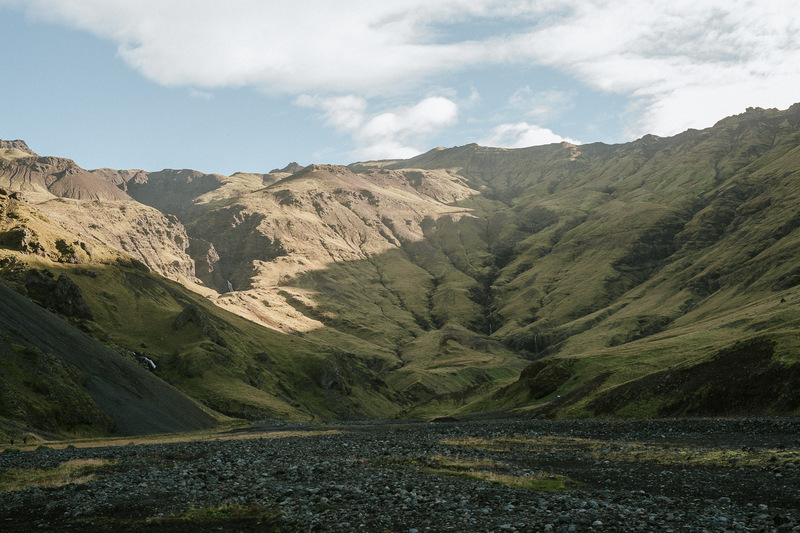 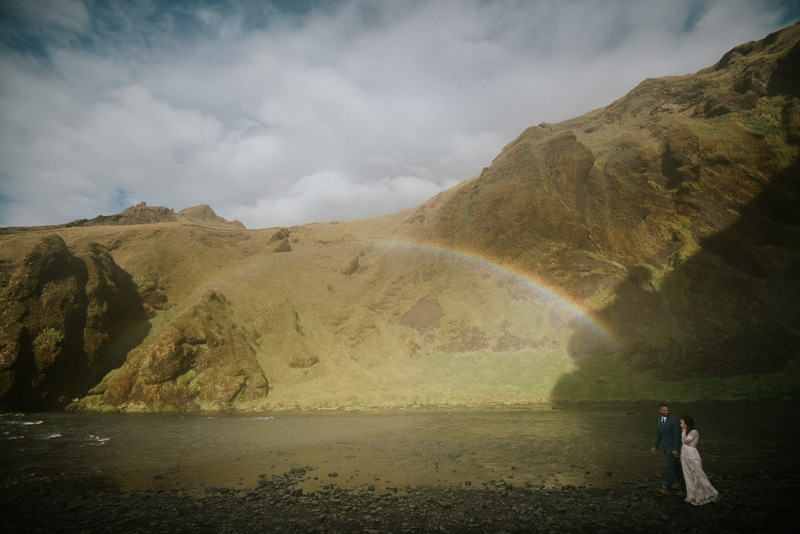 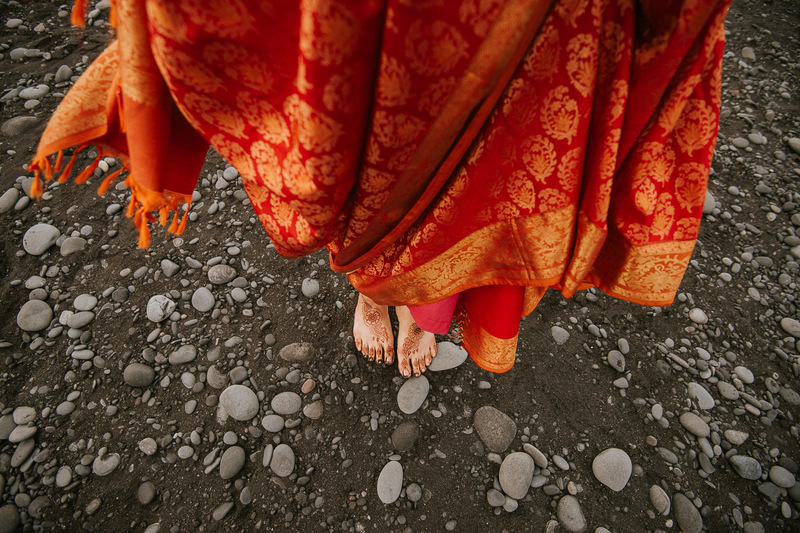 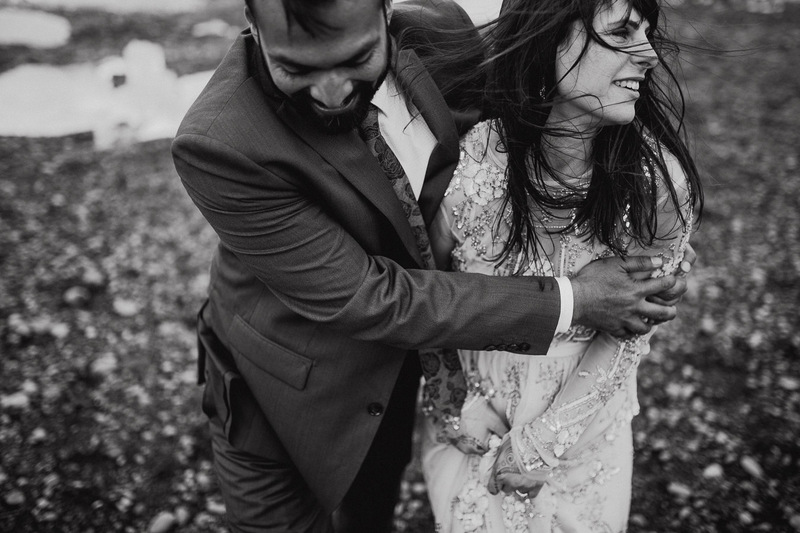 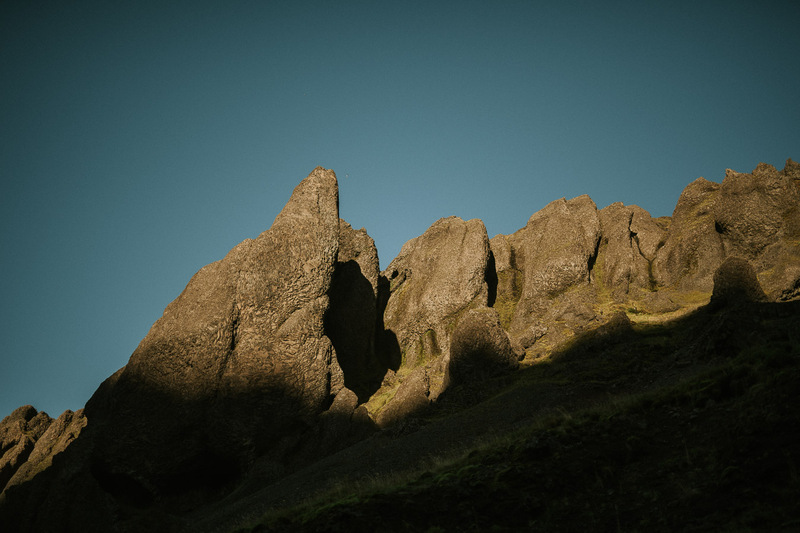 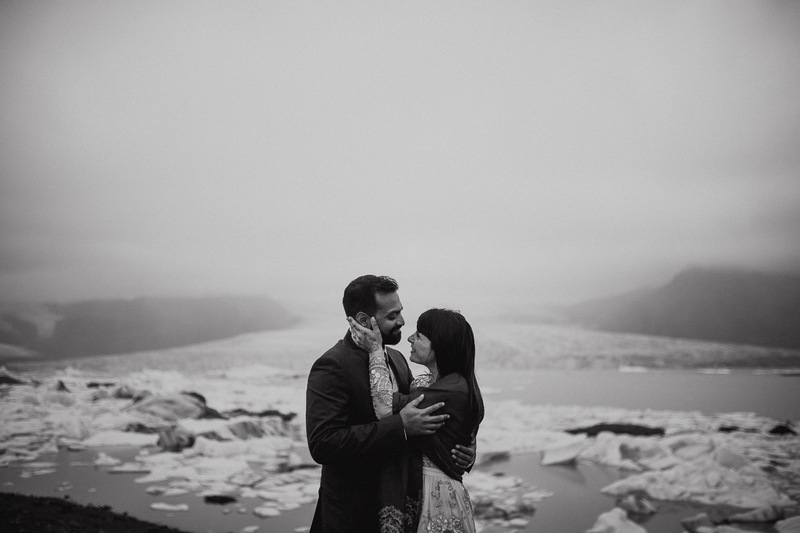 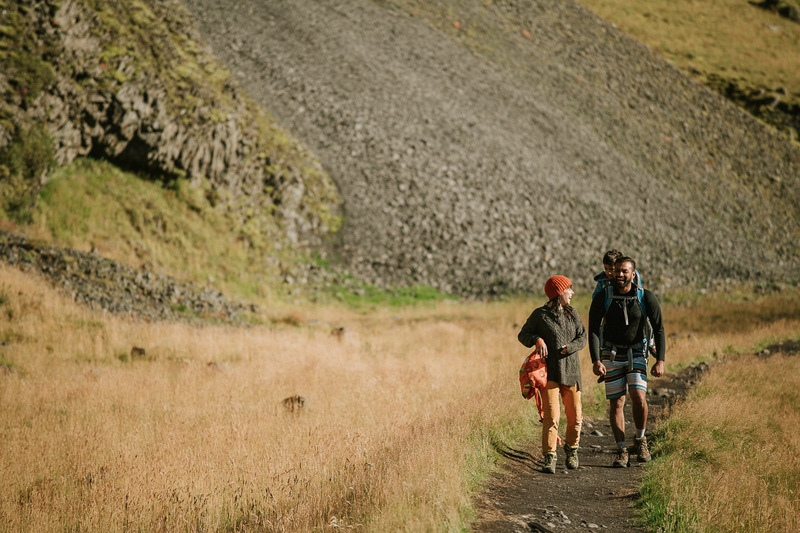 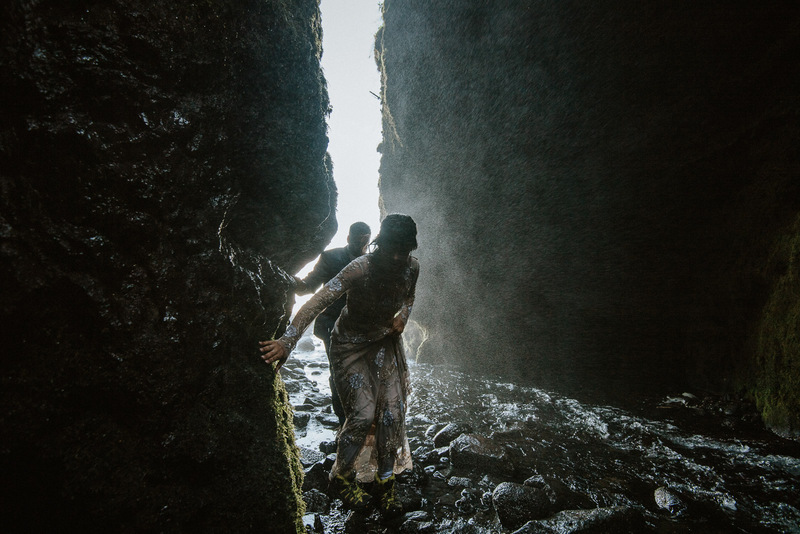 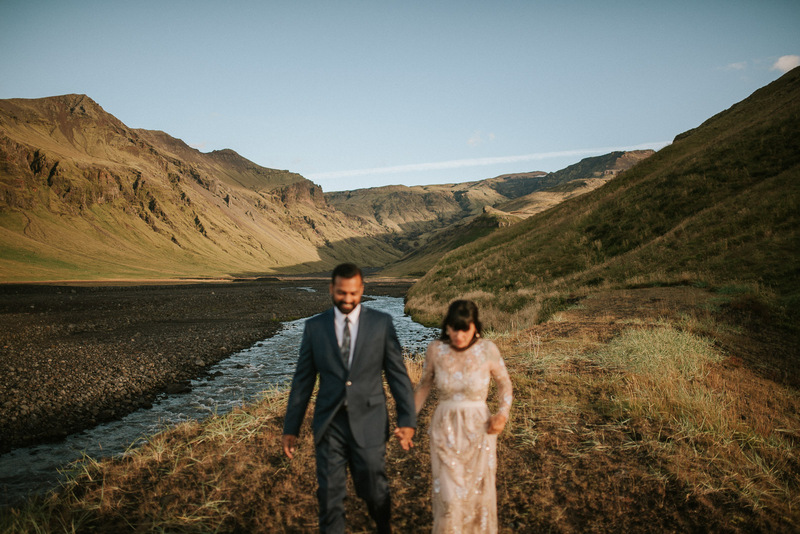 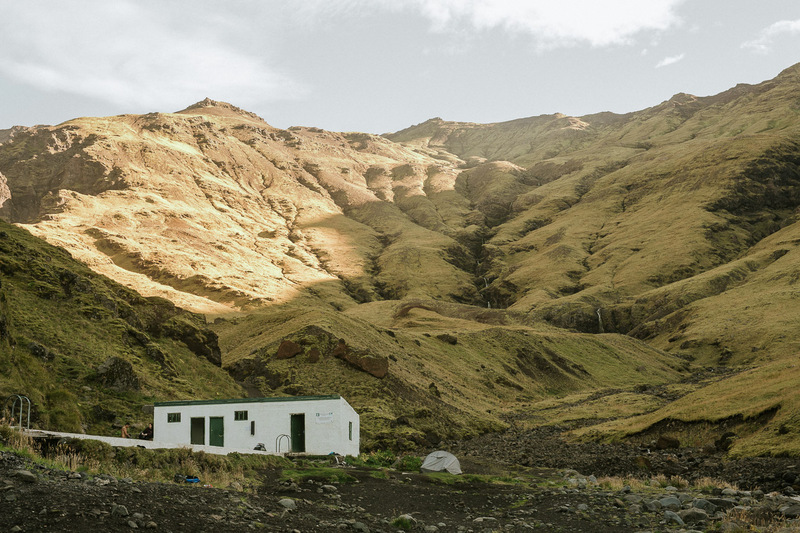 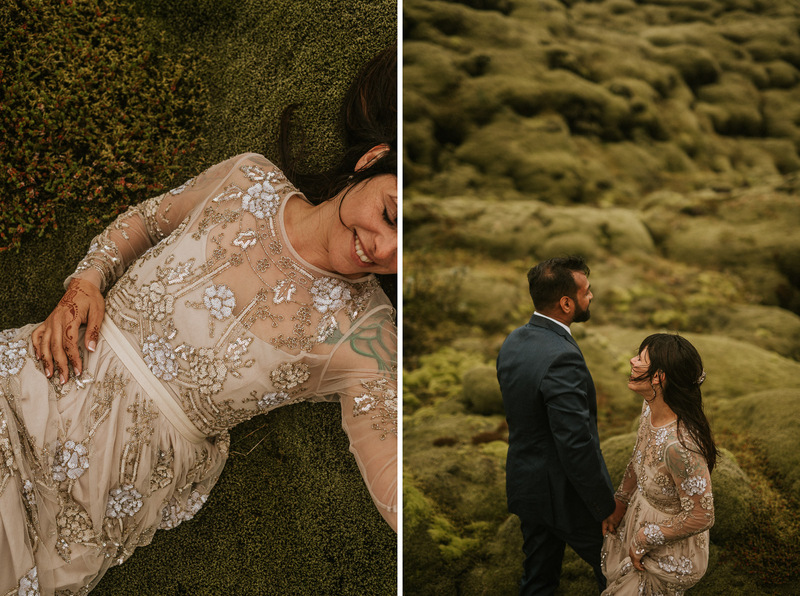 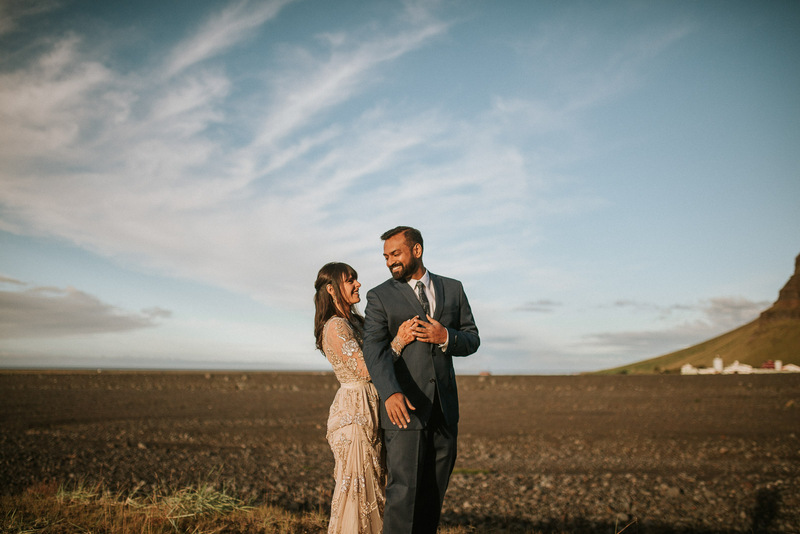 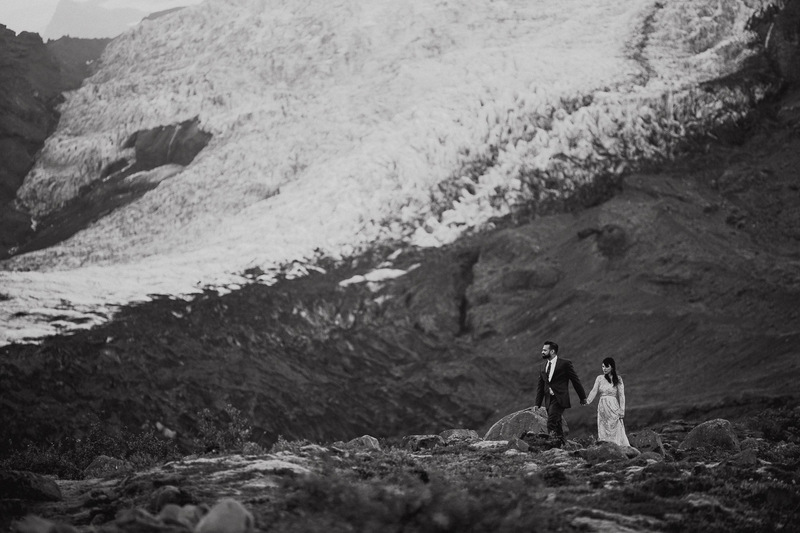 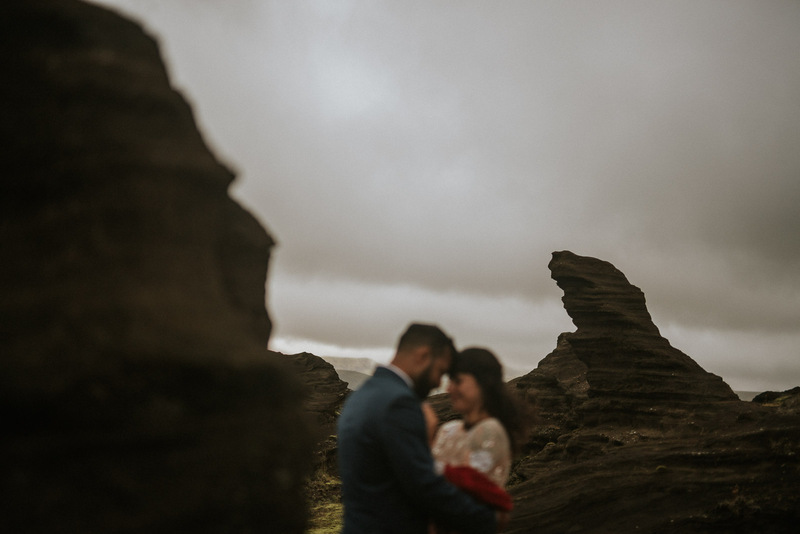 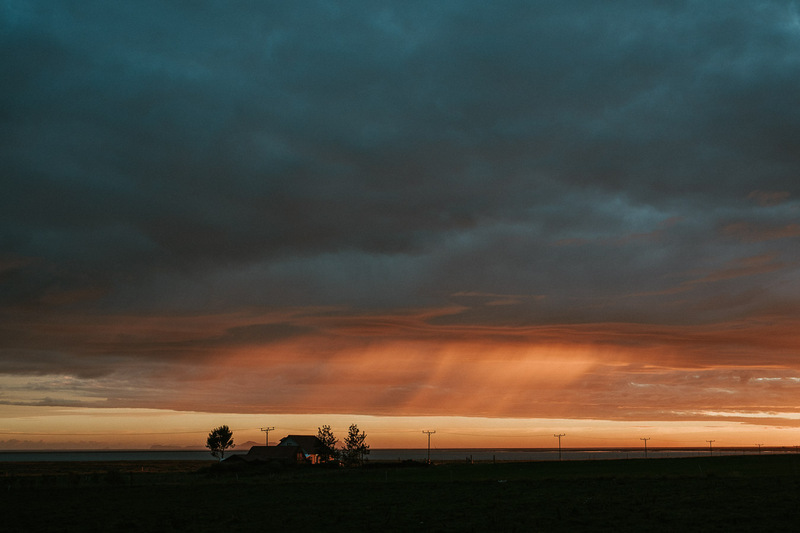 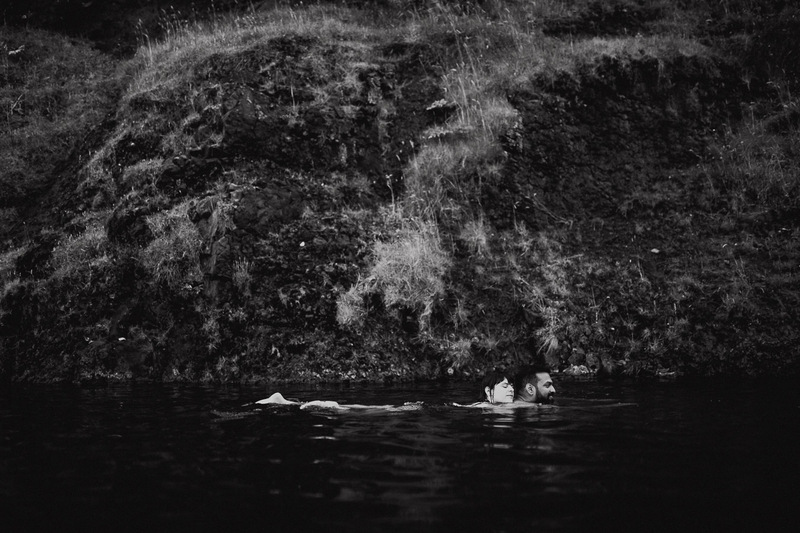 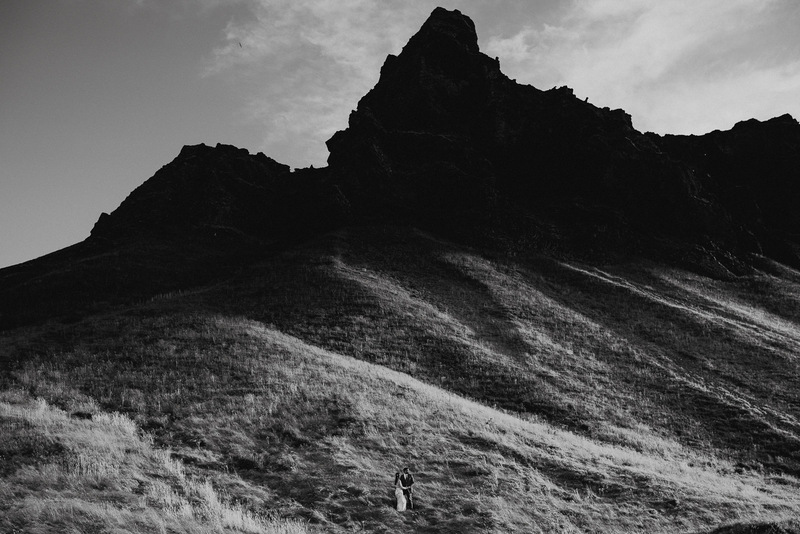 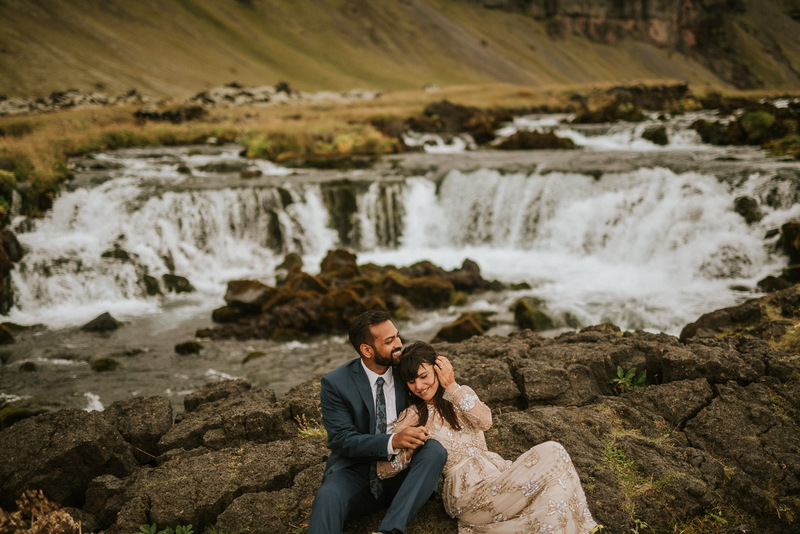 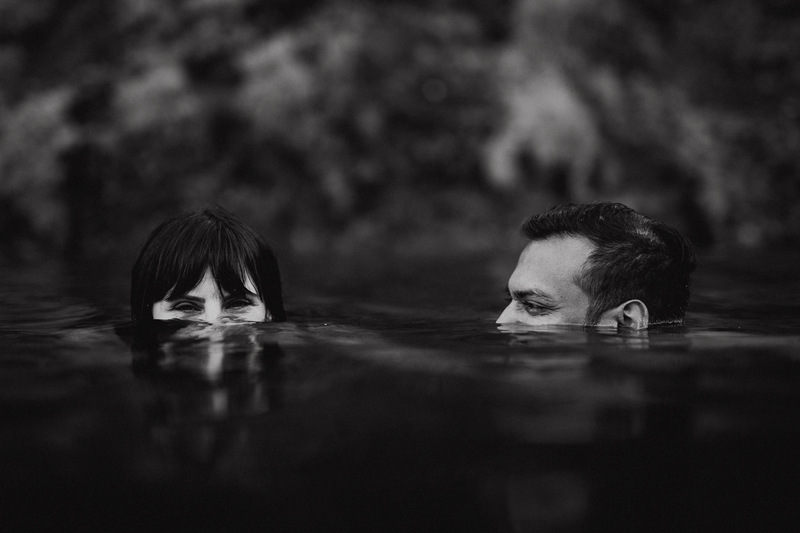 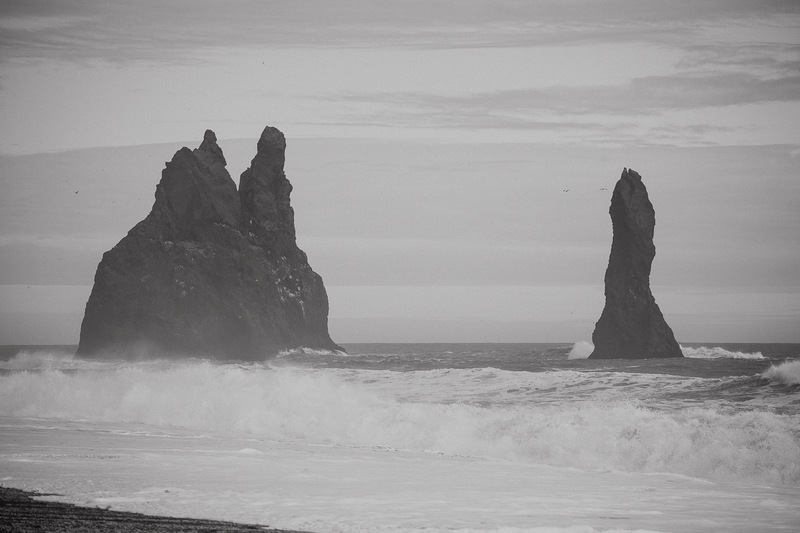 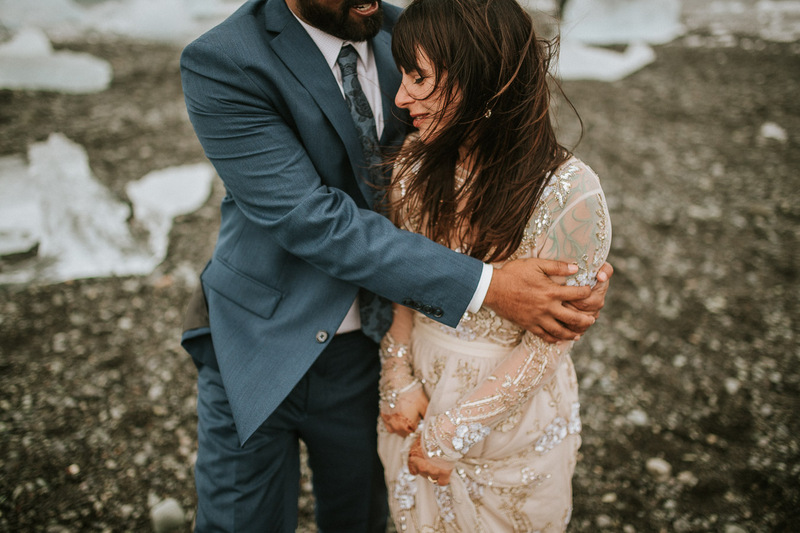 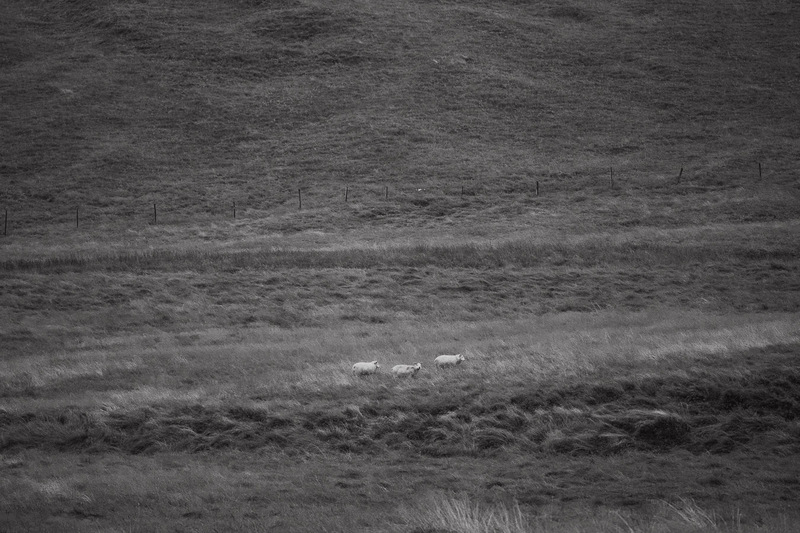 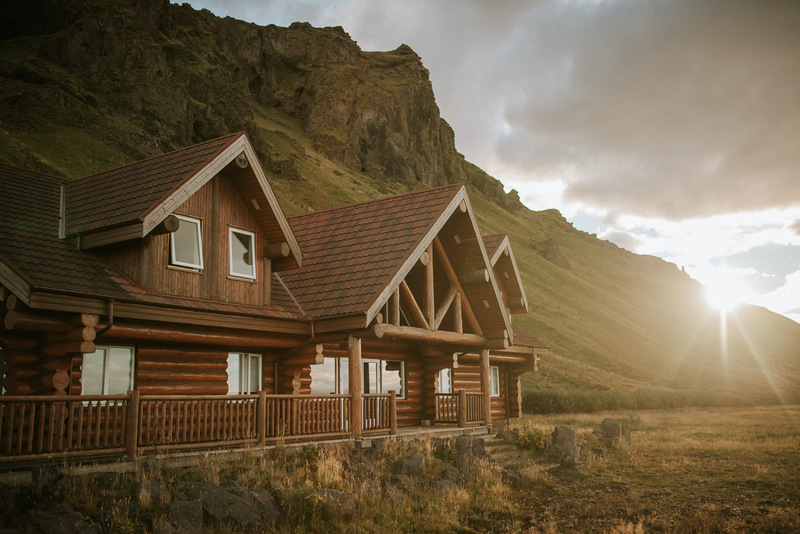 The epic landscapes and intriguing remoteness had always made Iceland a dream destination for Andi and Ravi. 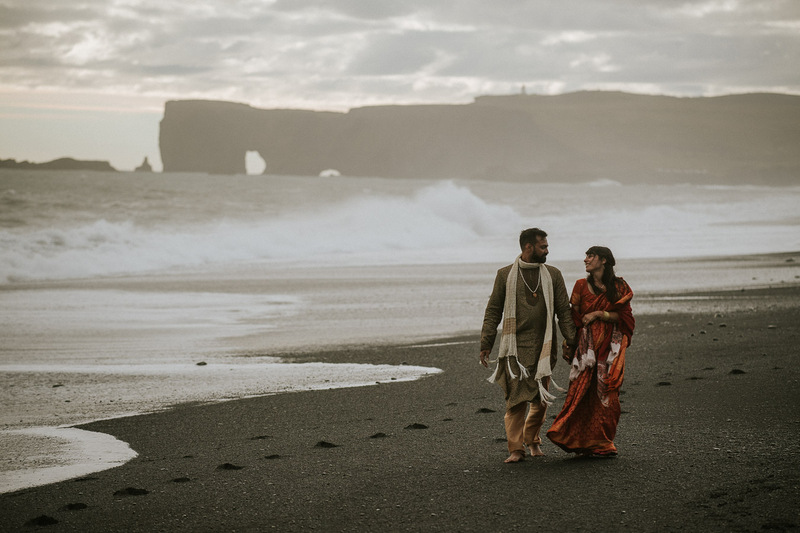 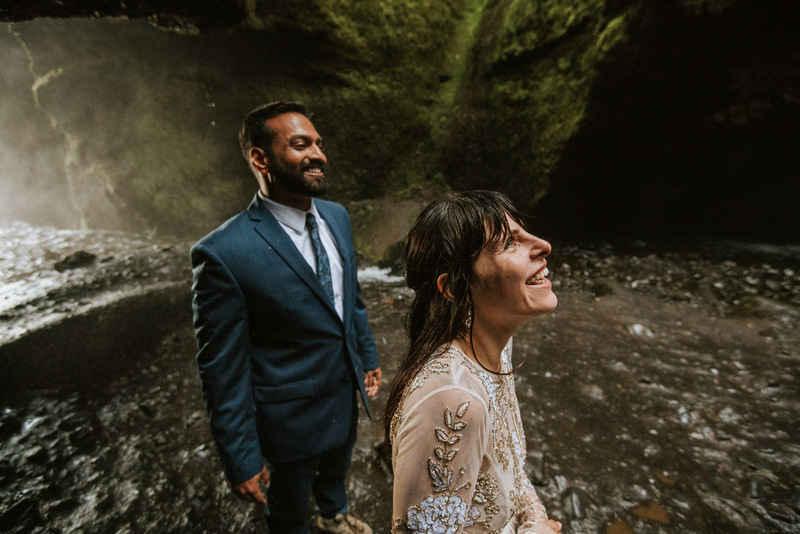 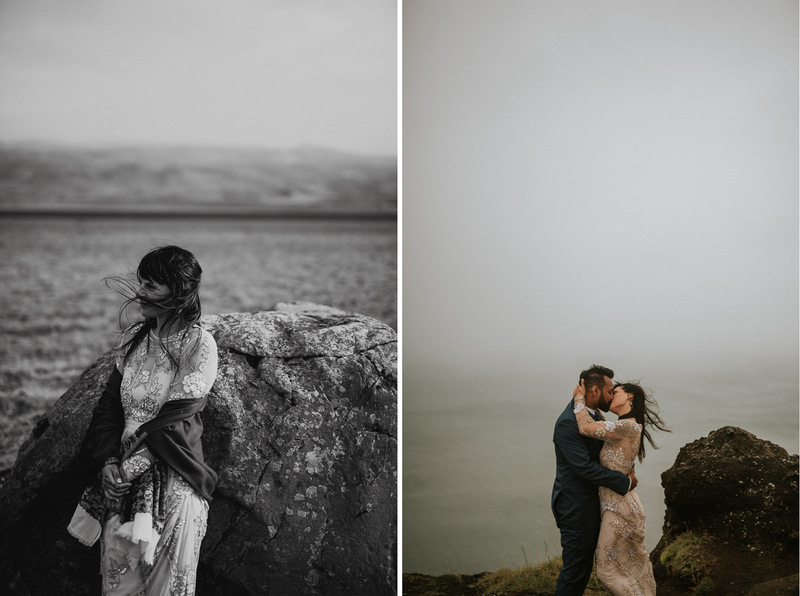 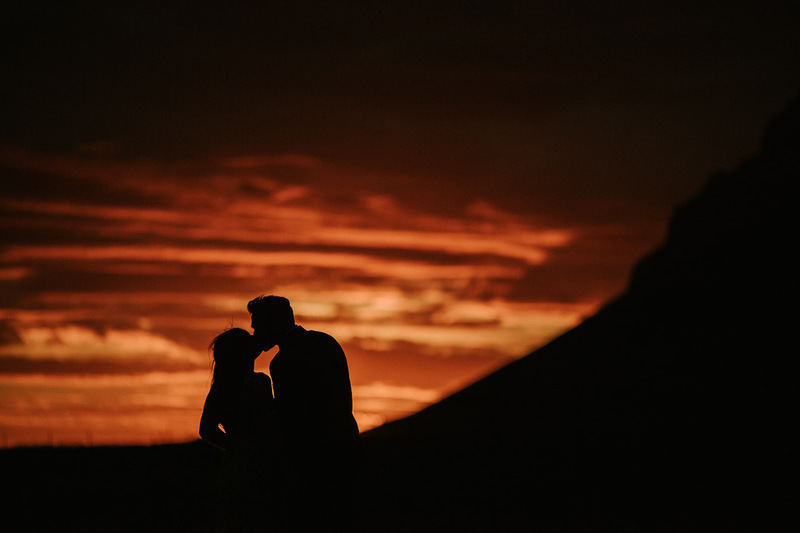 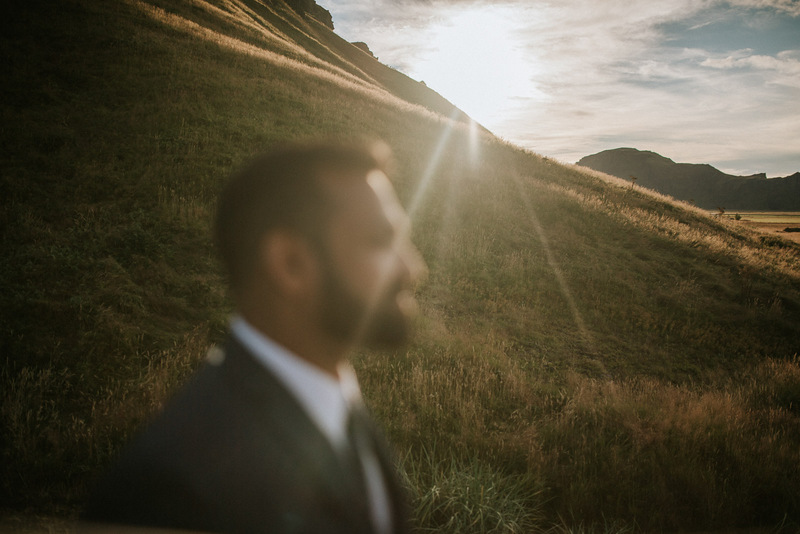 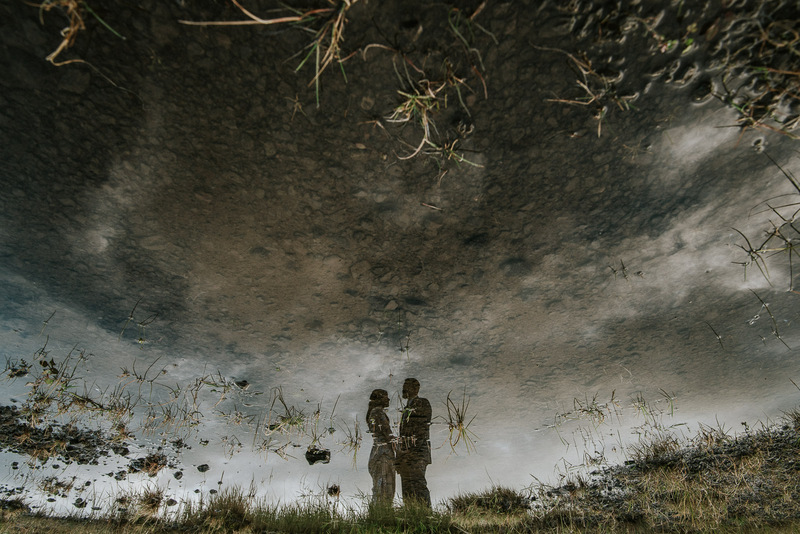 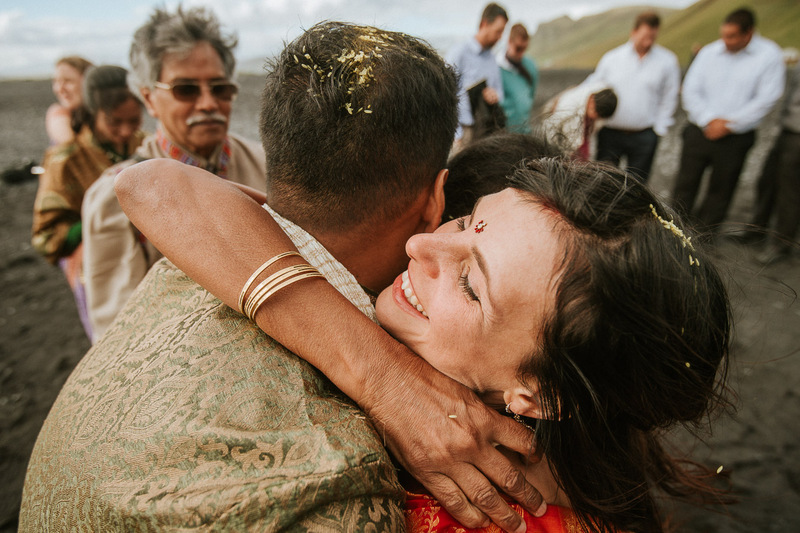 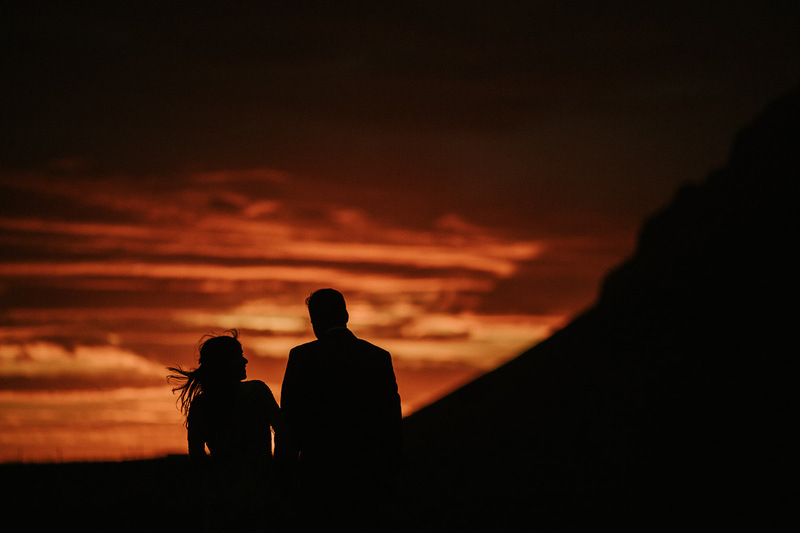 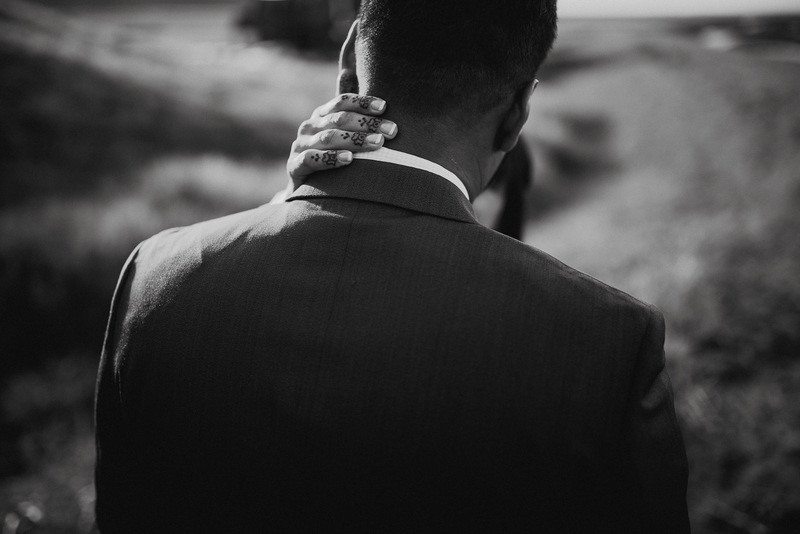 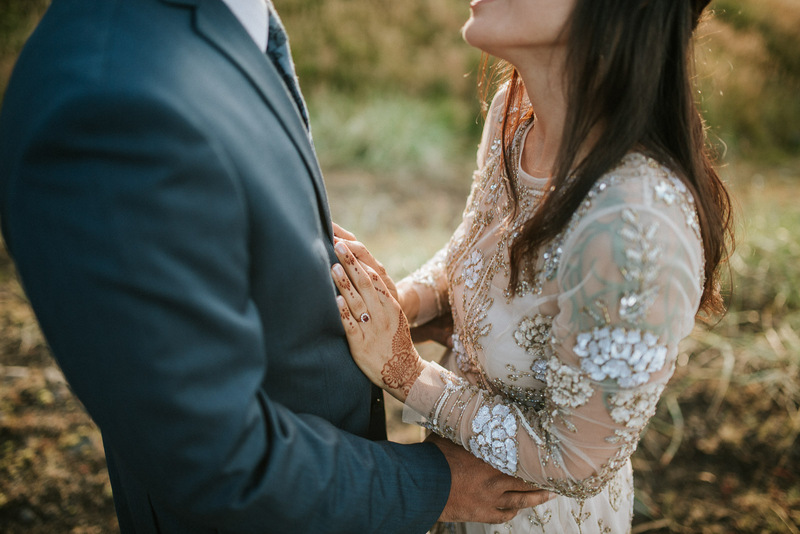 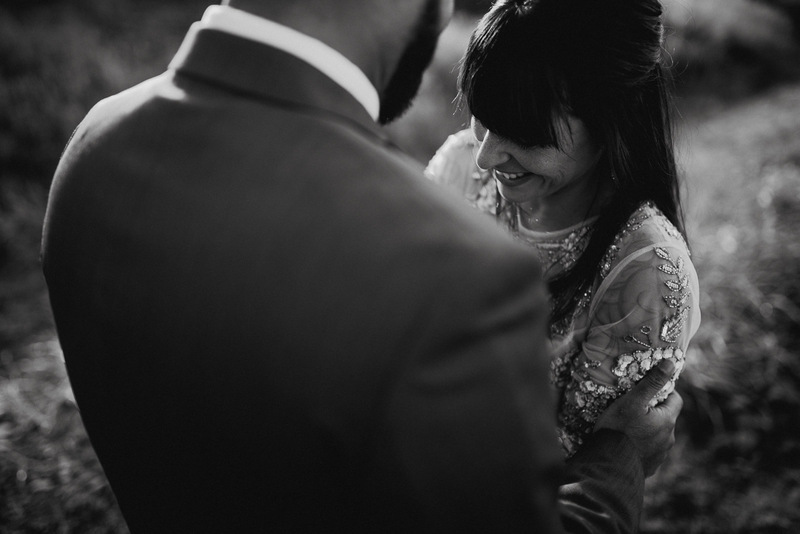 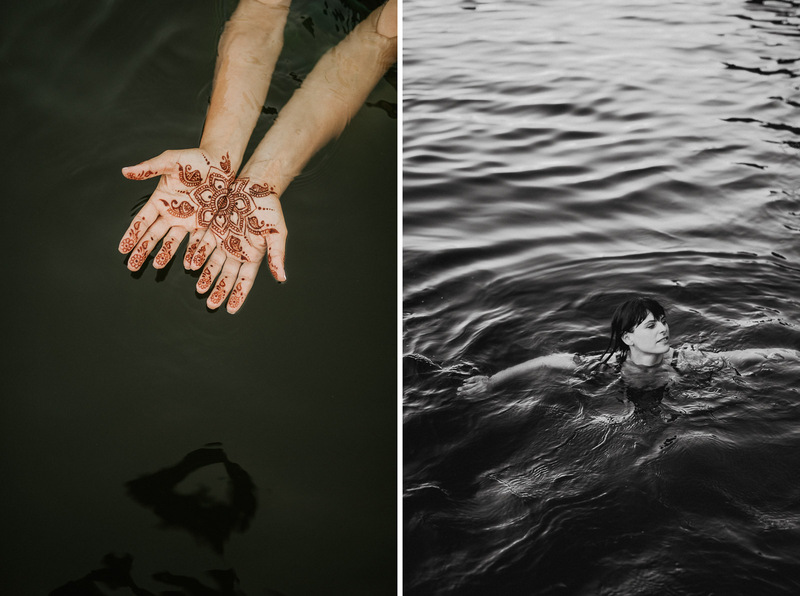 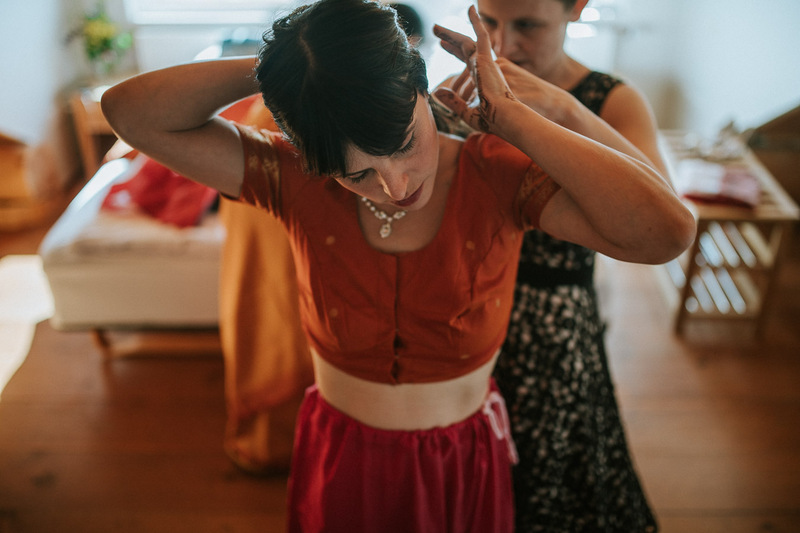 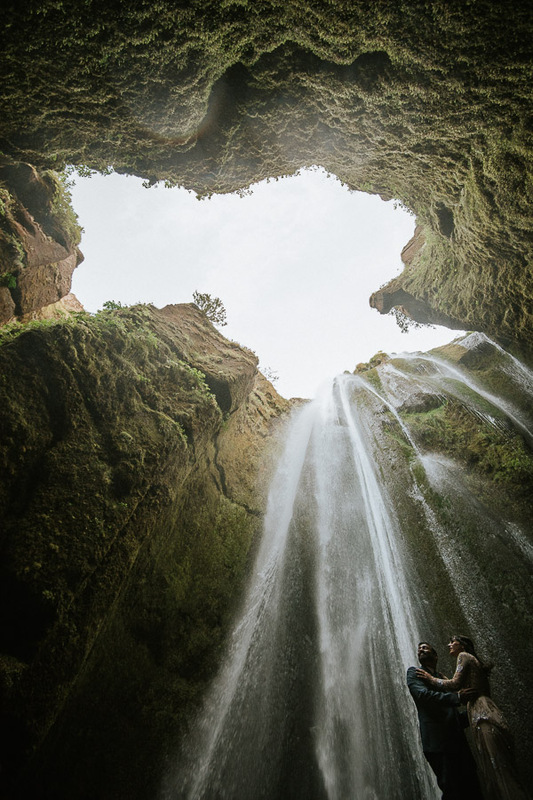 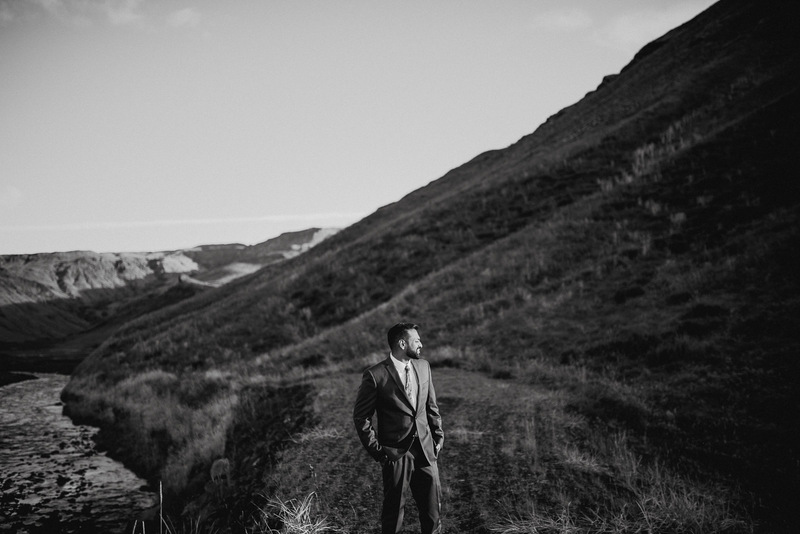 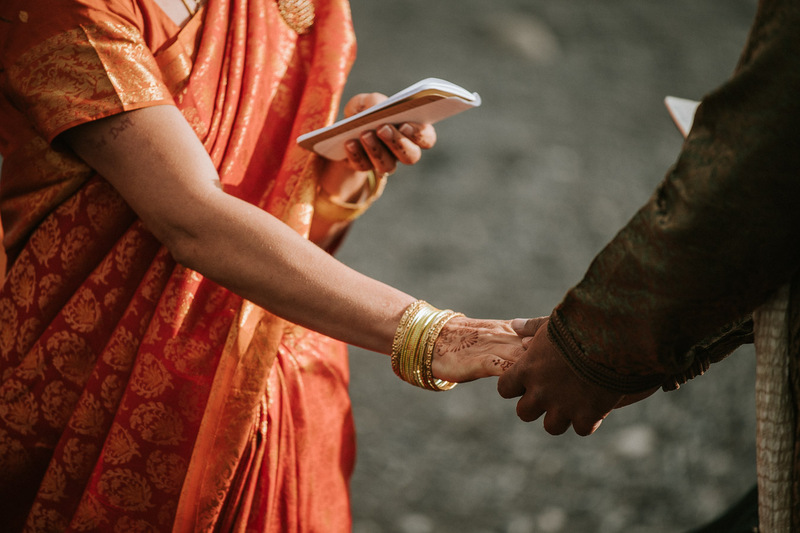 They had researched many places across the world to get married and after coming across some of Mait’s amazing photos, they instantly knew the search was over and that they wanted him to capture their wedding. 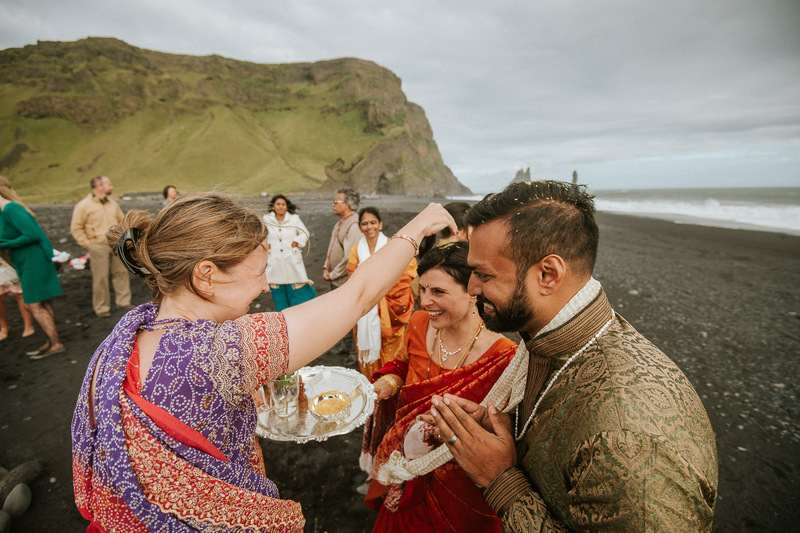 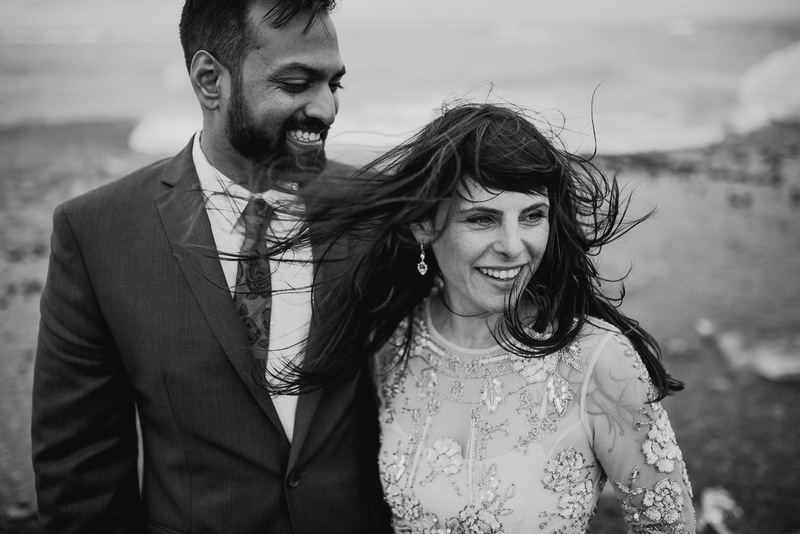 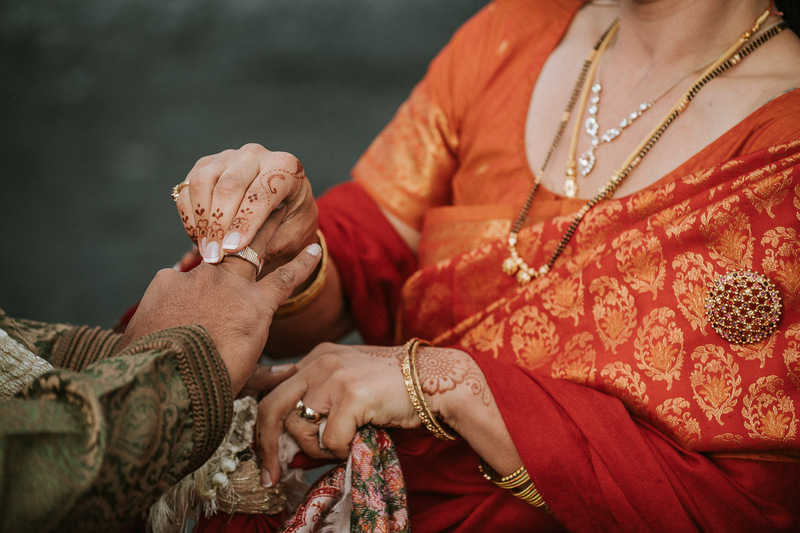 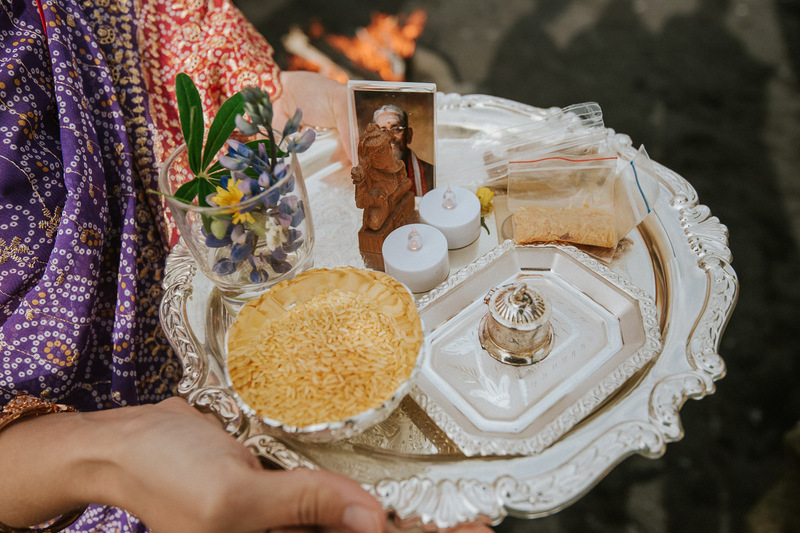 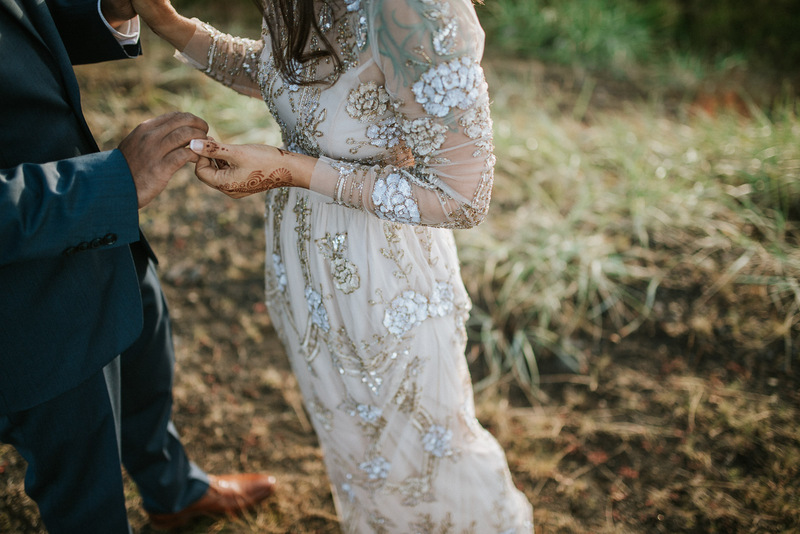 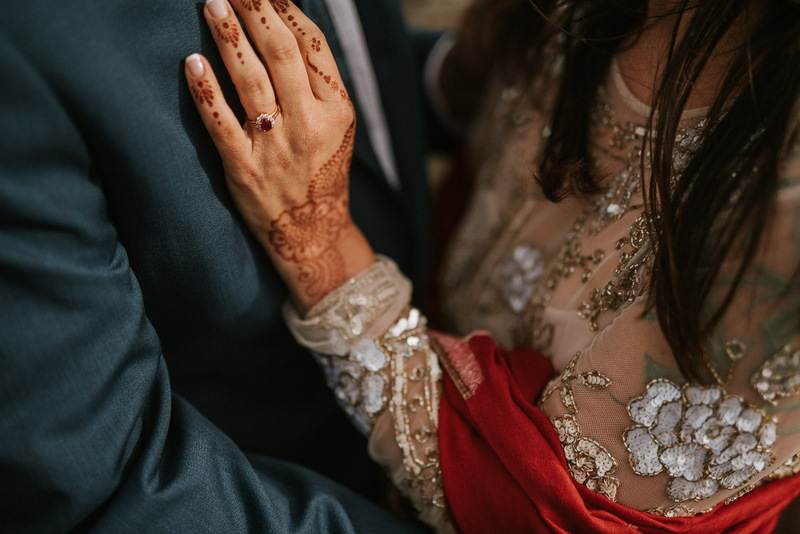 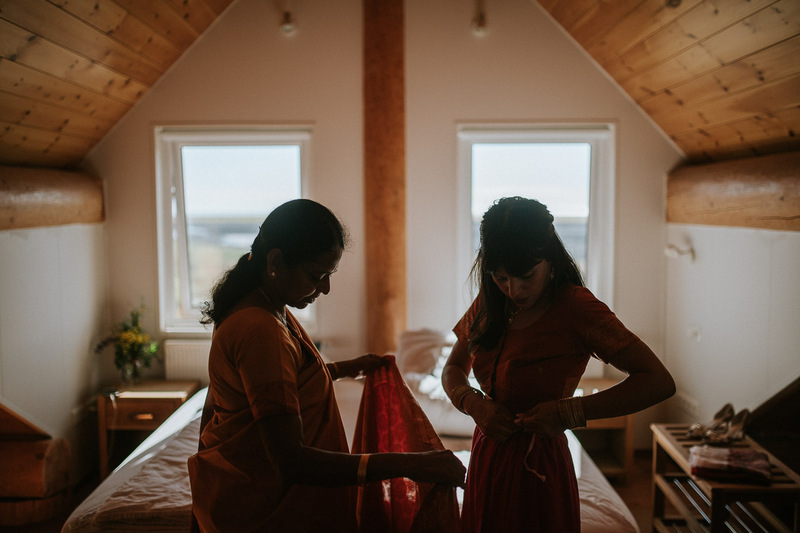 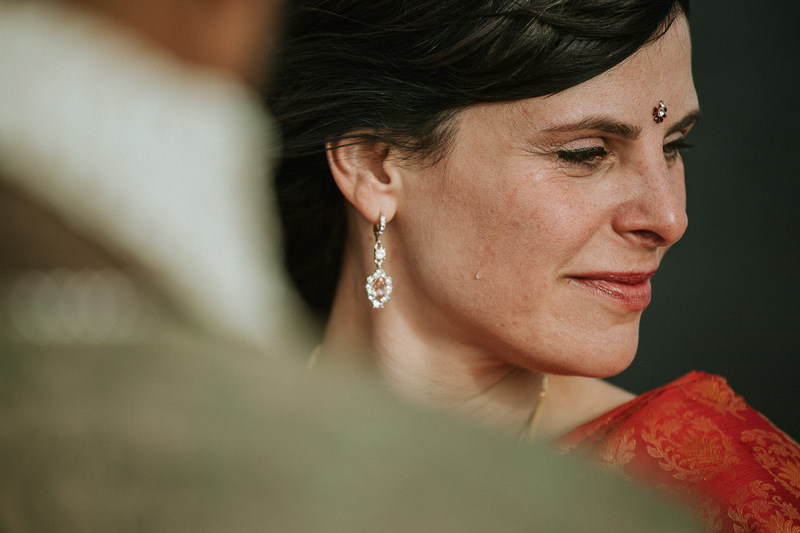 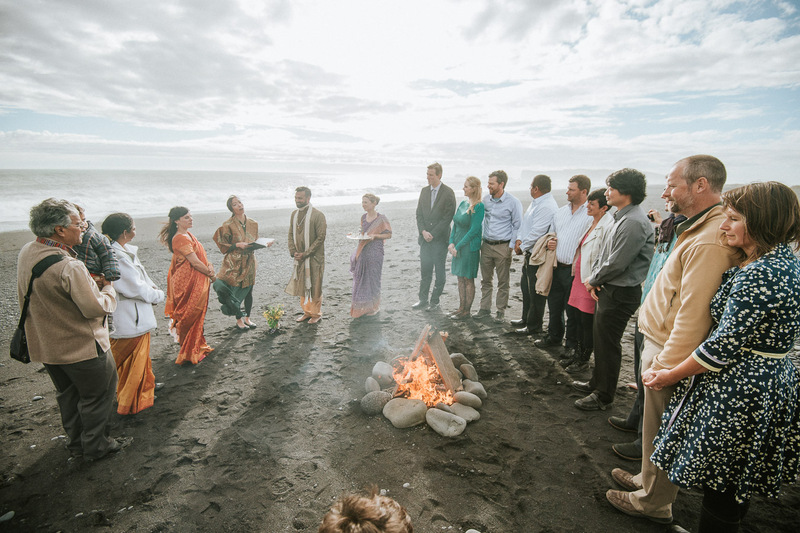 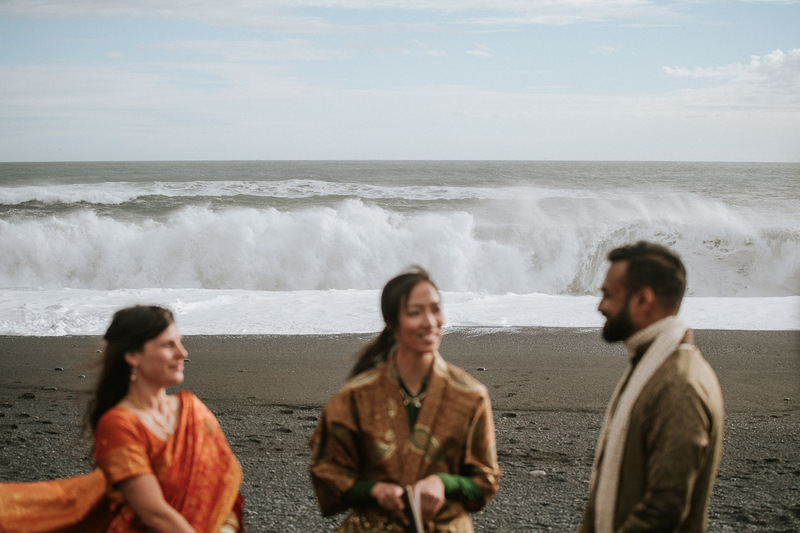 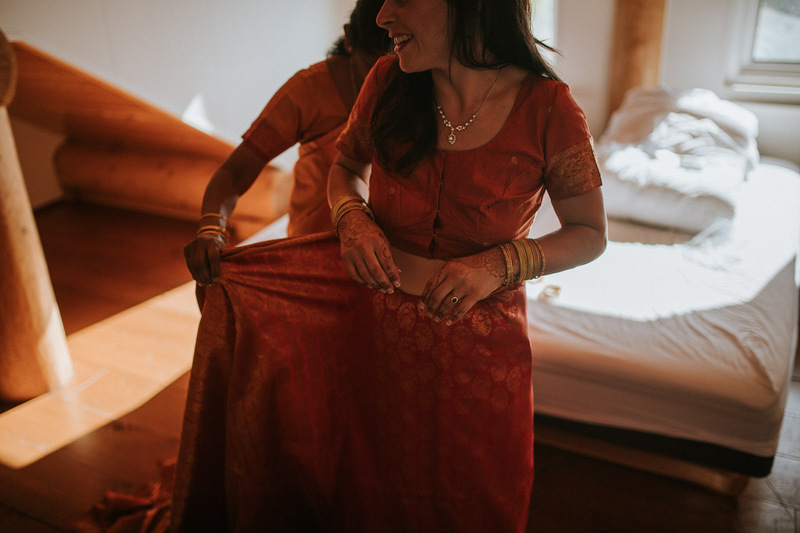 Andi and Ravi’s ceremony needed to include extensive natural beauty, cultural elements from Ravi’s Hindu background, and their closest friends and family. 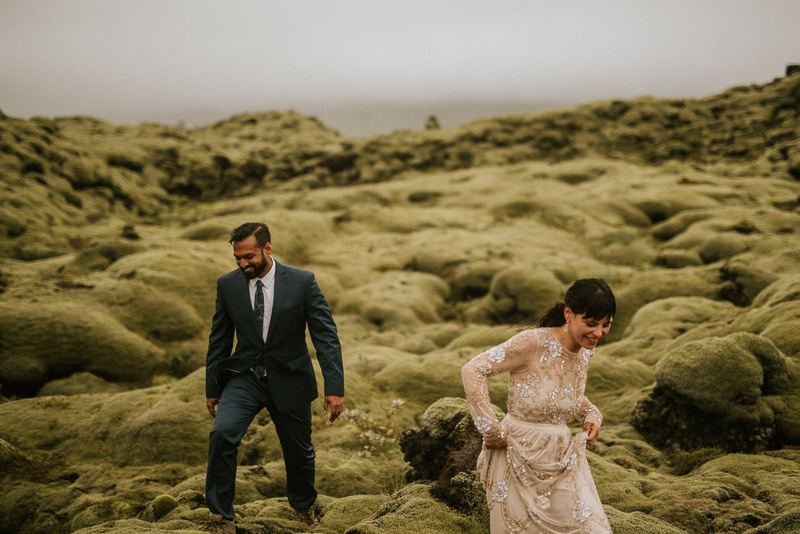 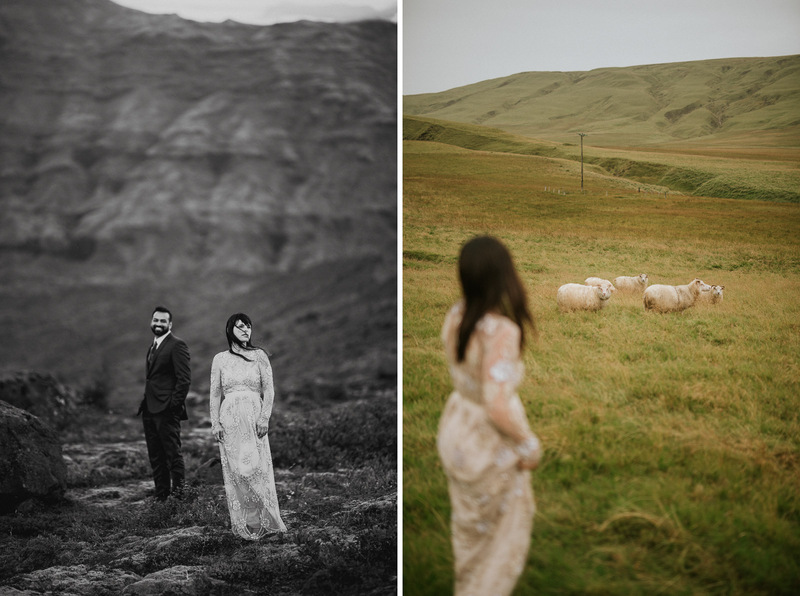 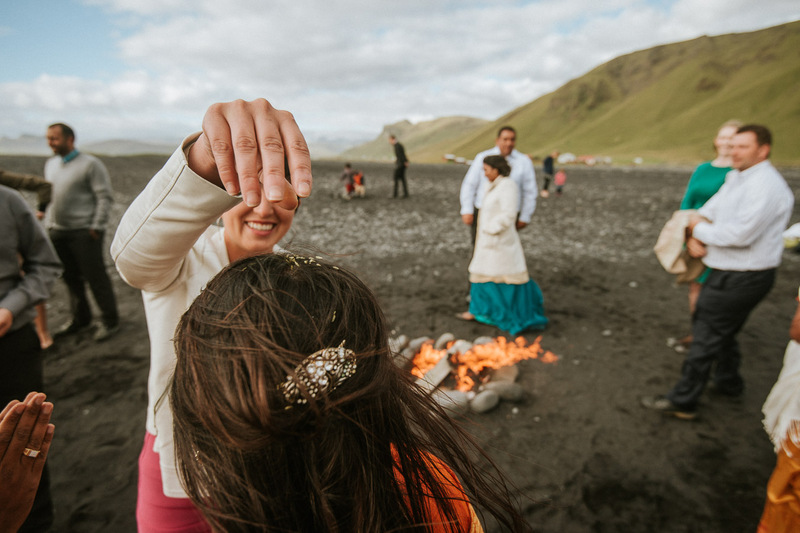 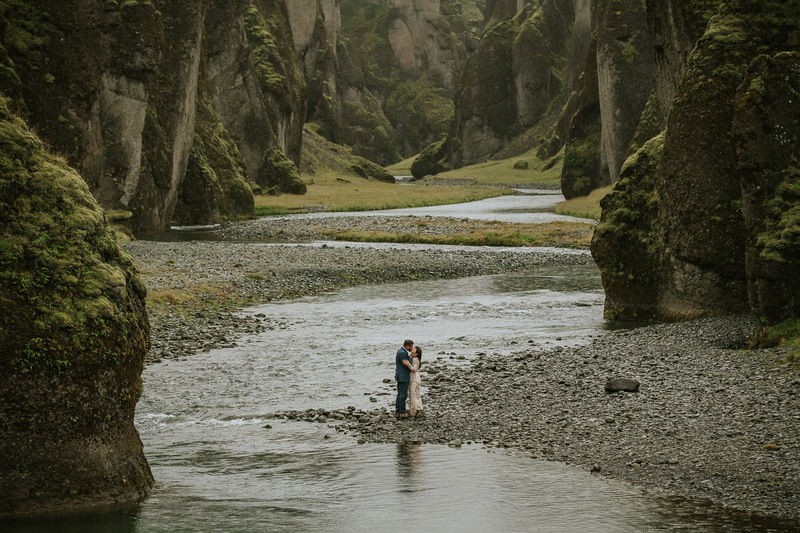 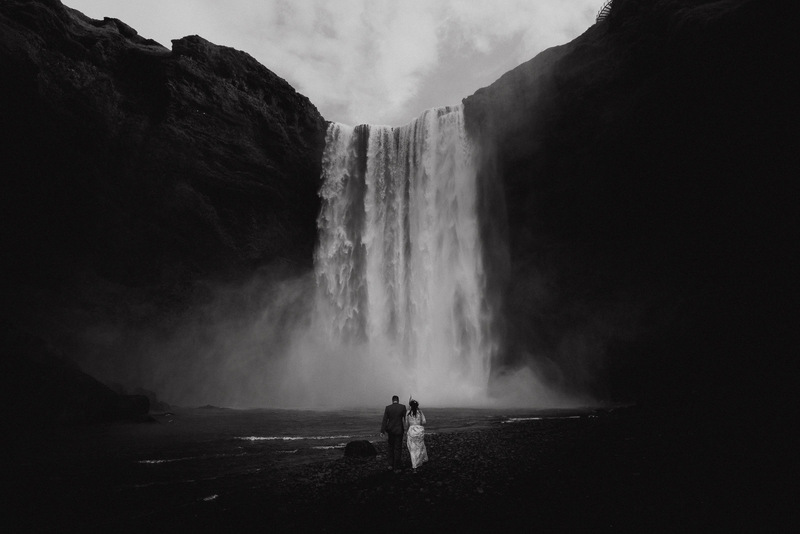 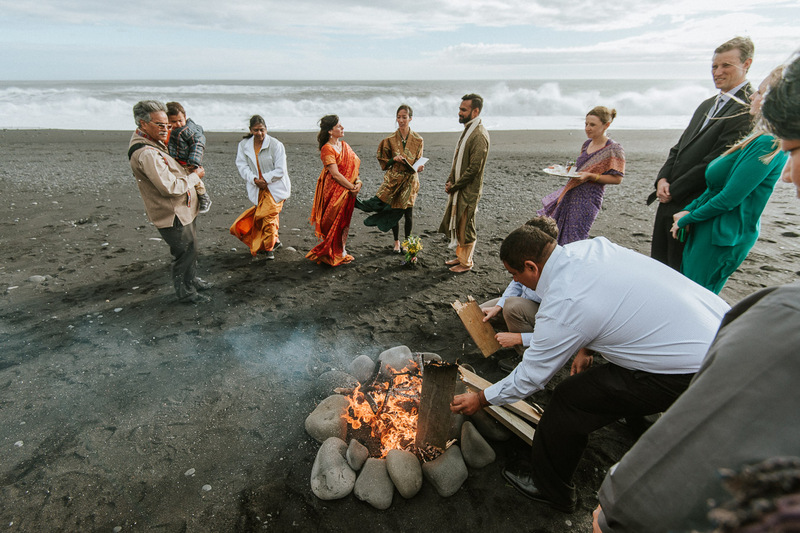 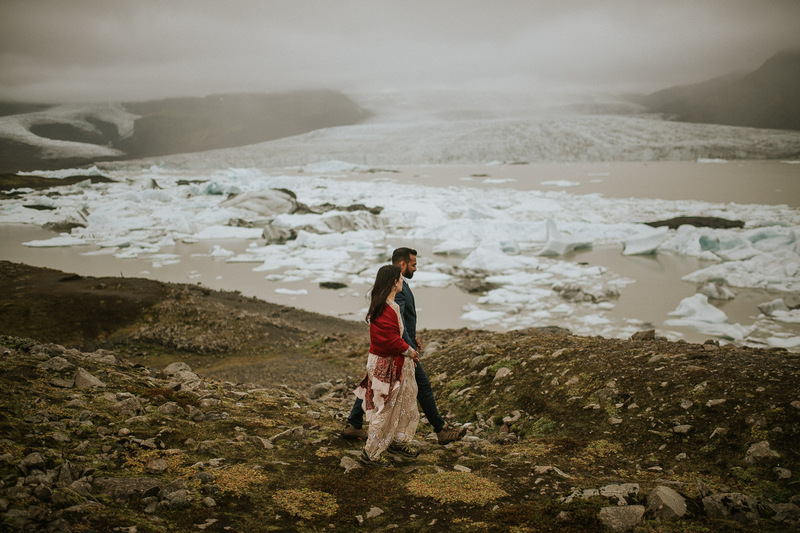 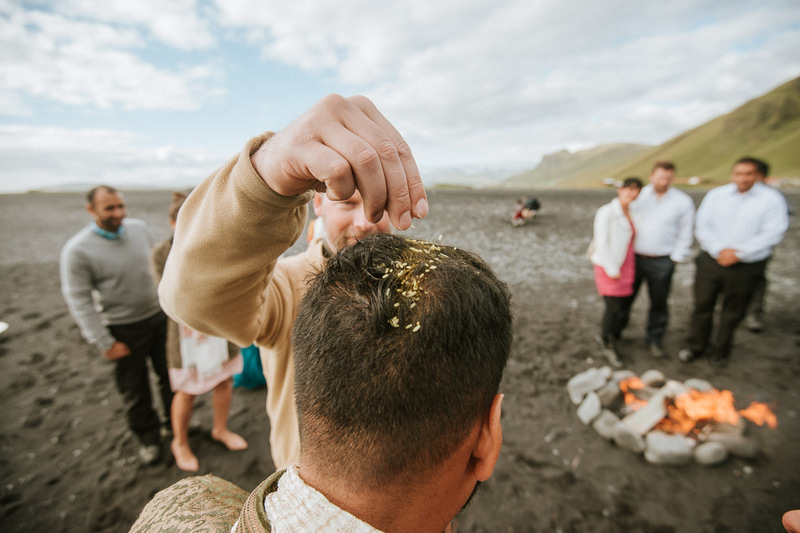 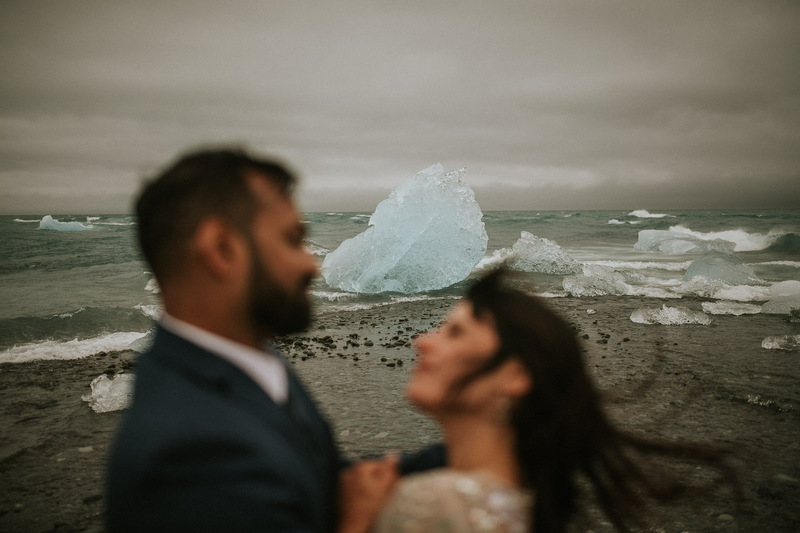 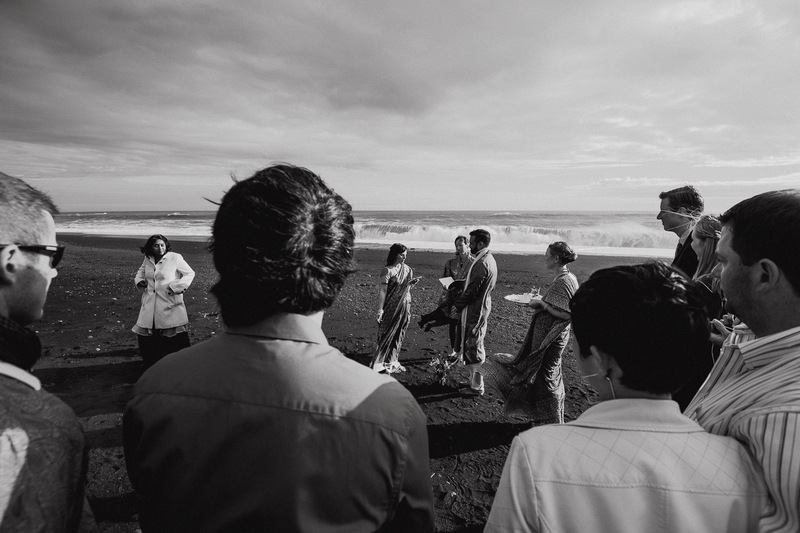 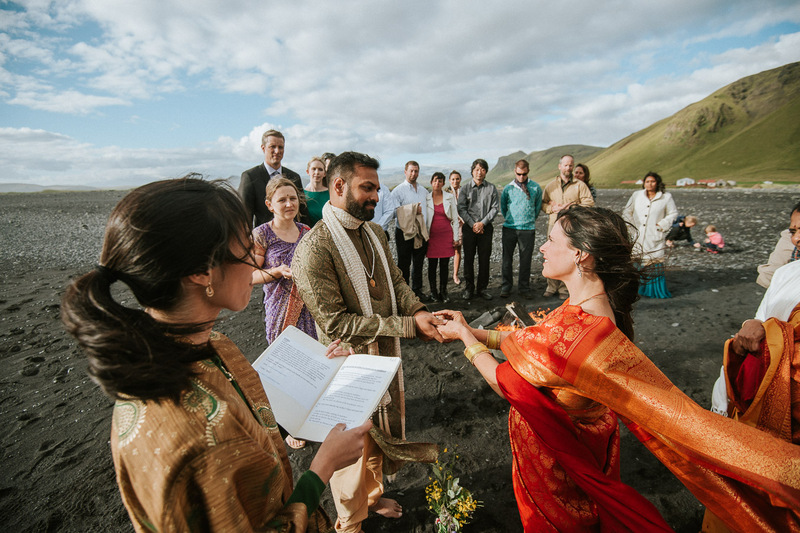 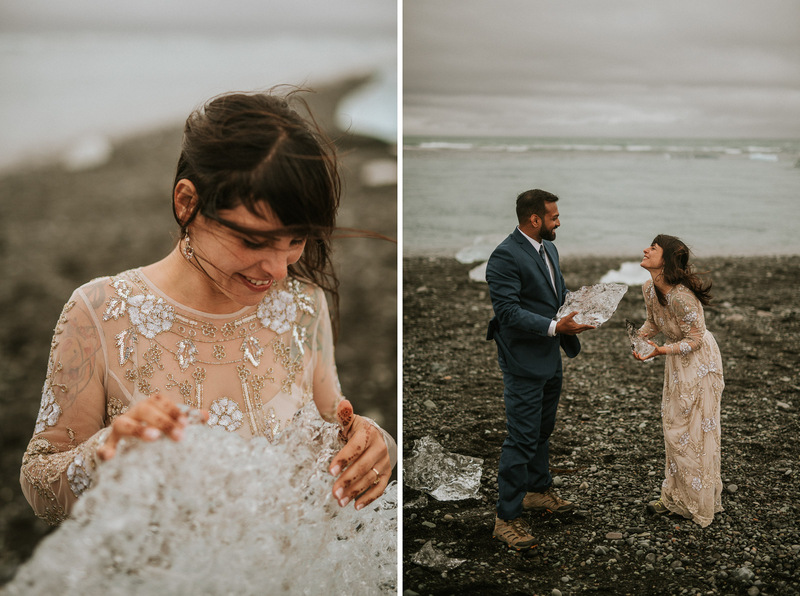 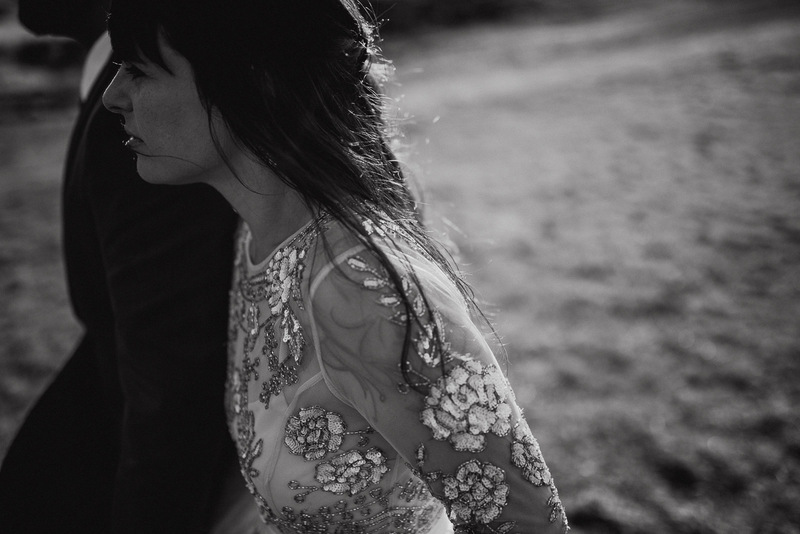 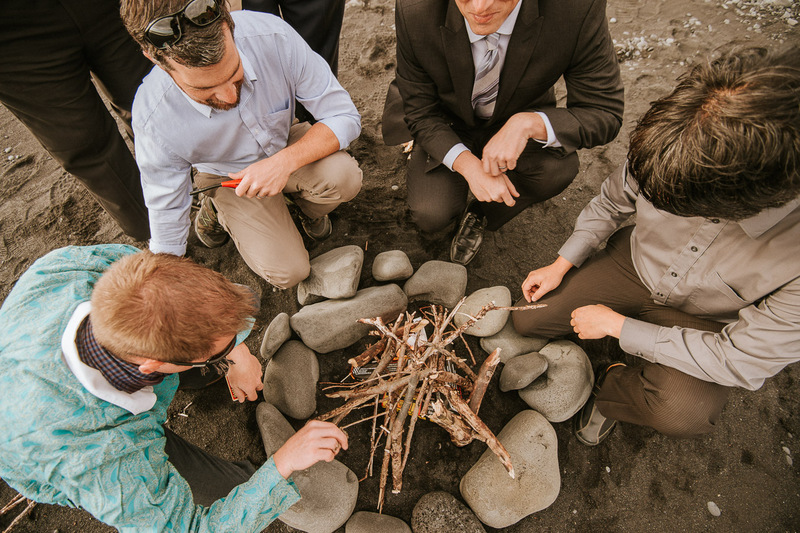 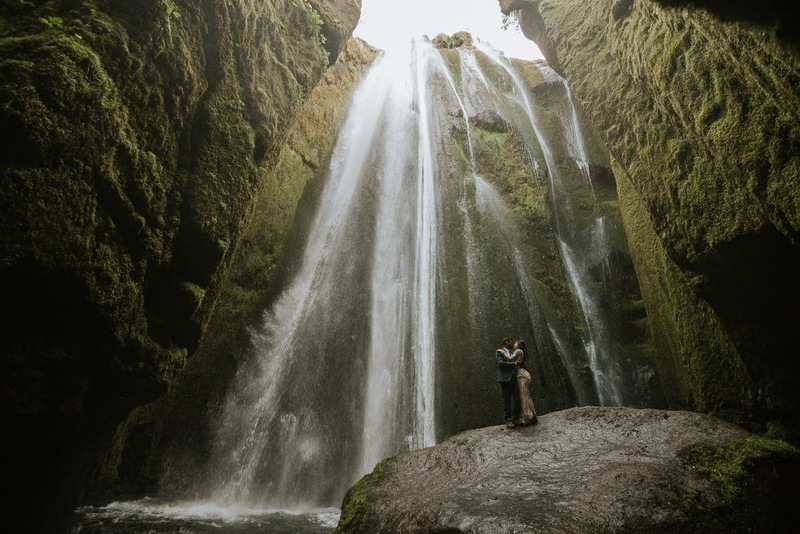 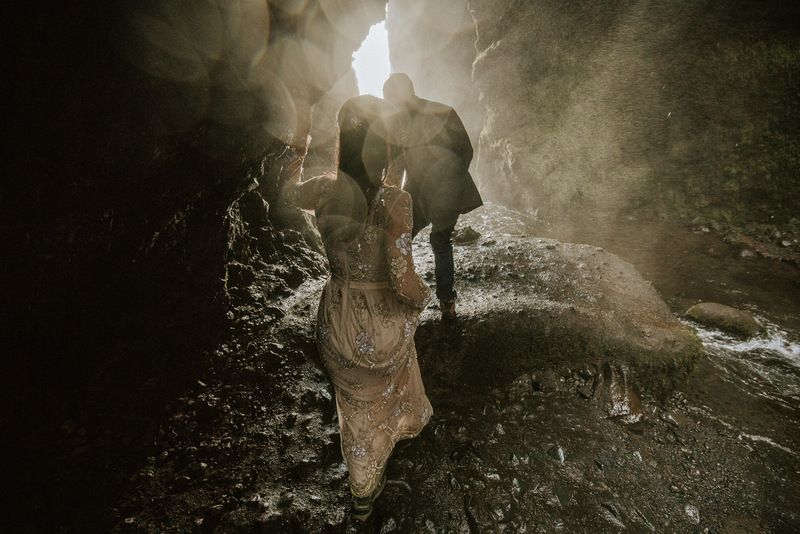 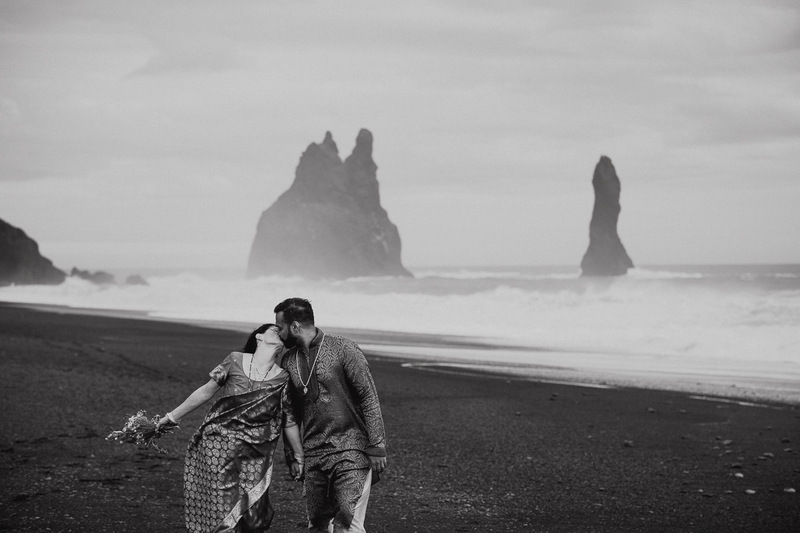 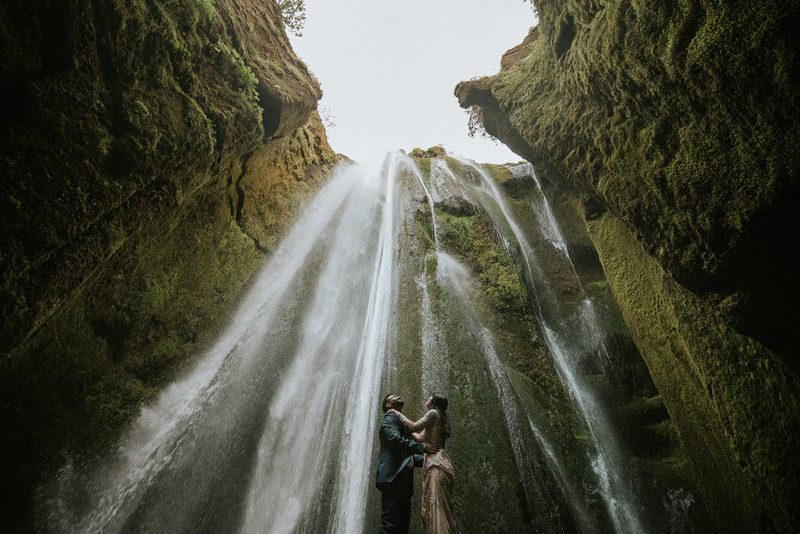 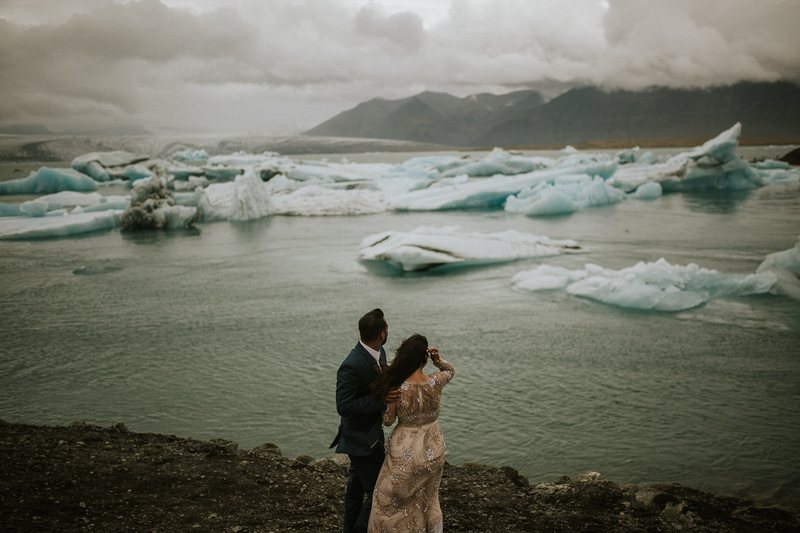 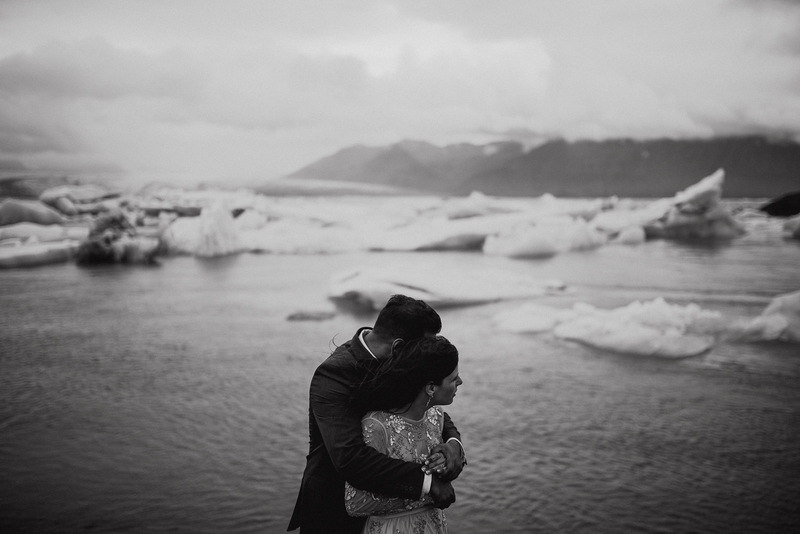 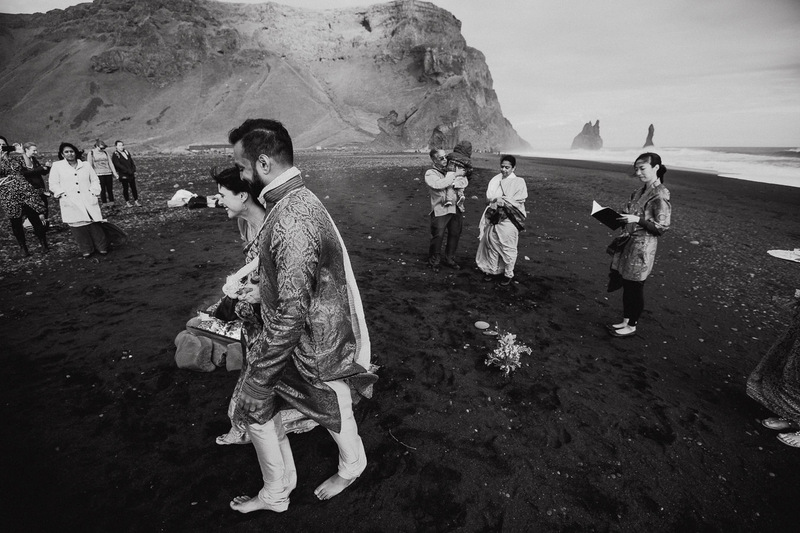 They were ecstatic that so many people that they had previously traveled with to far-off places were so willing and able to come across the world with them to witness their vows to each other in Iceland. 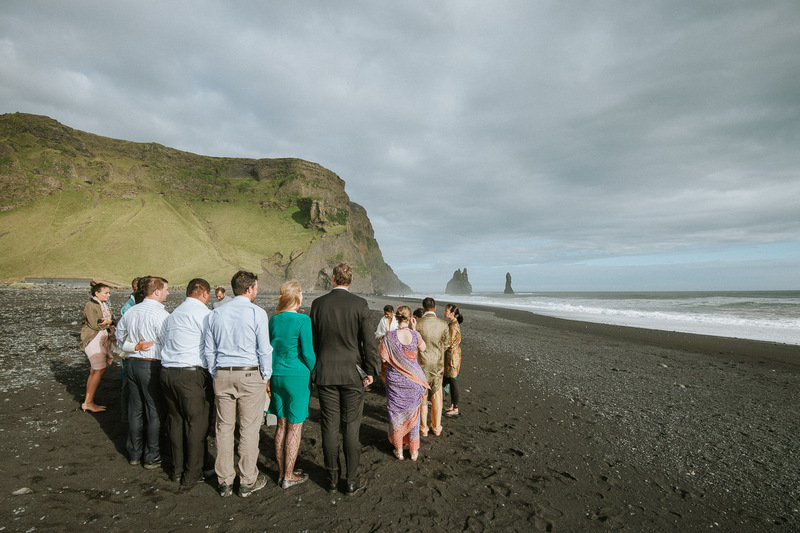 With so many unknowns, including but not limited to: how the children would handle the long flights, what the weather would have in store, and how the arrangements made solely through travel guide recommendations and ill-translated email communications, would actually coalesce. 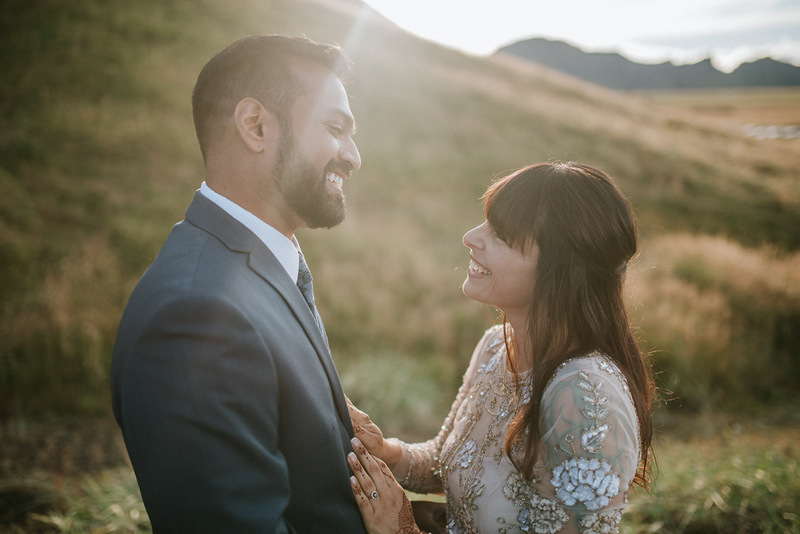 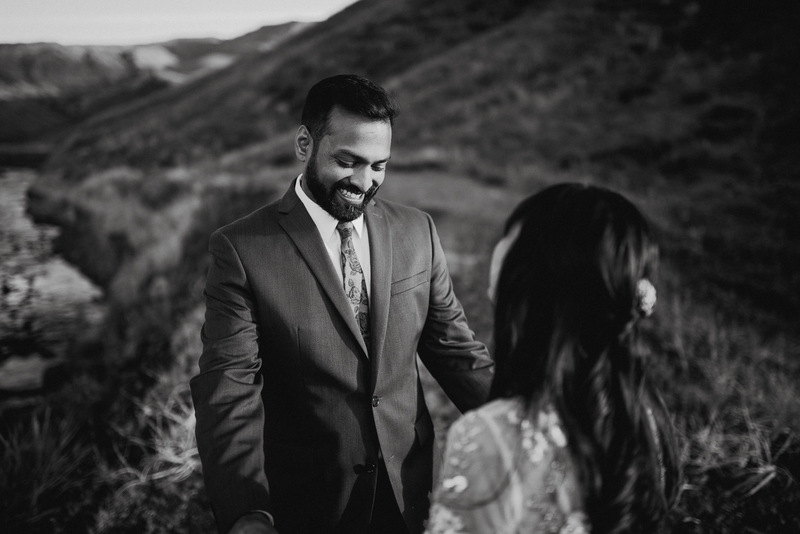 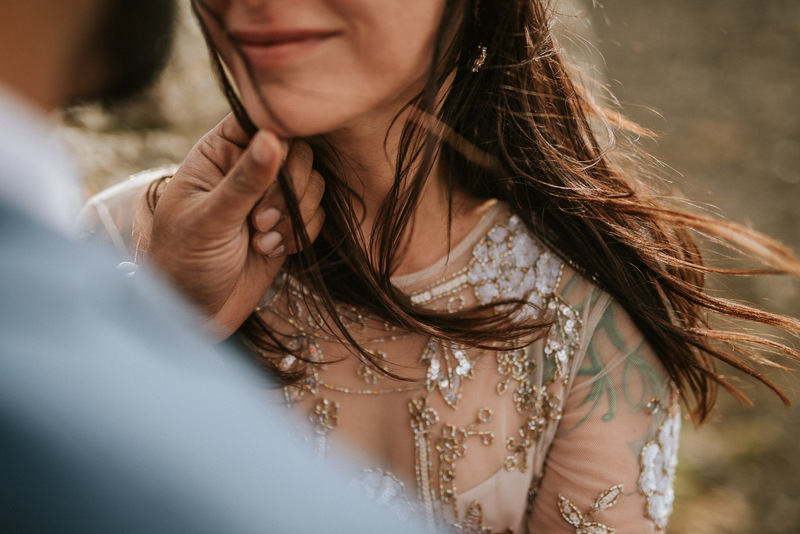 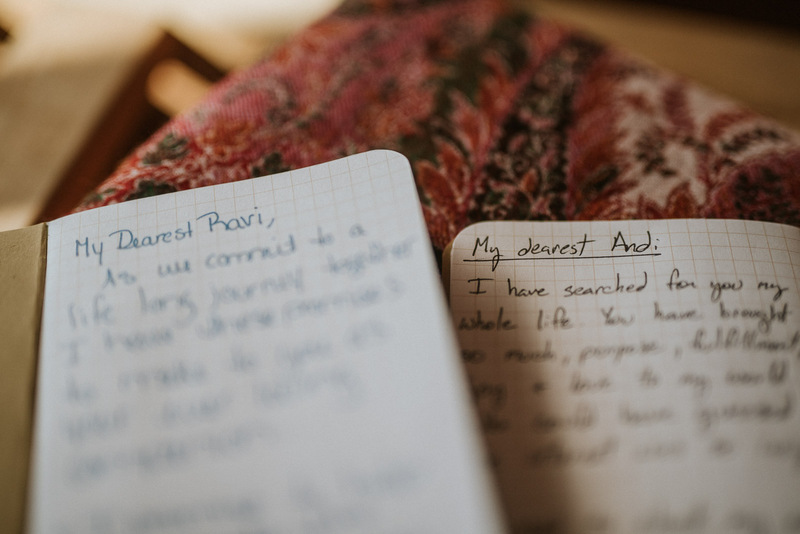 The fact that all unknowns turned in their favor is evidence to Ravi and Andi that their wedding and future together was fated.